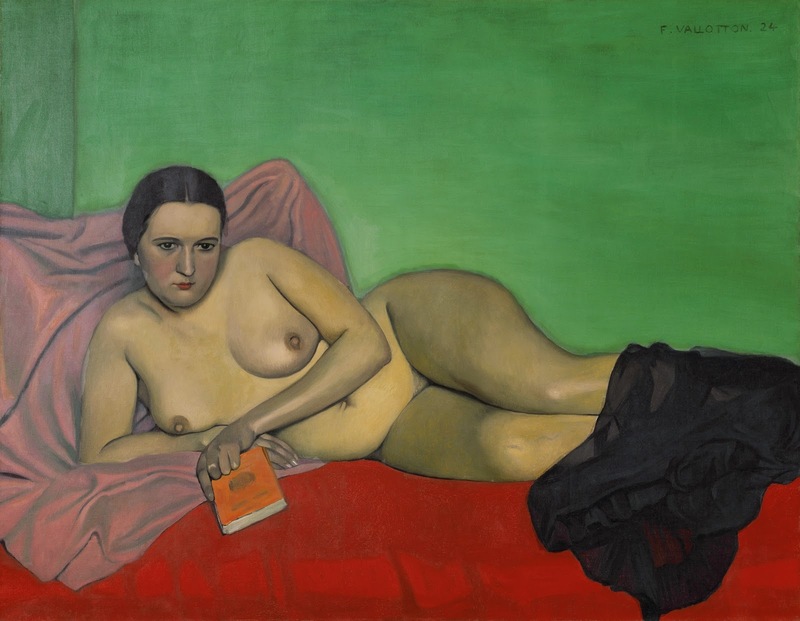 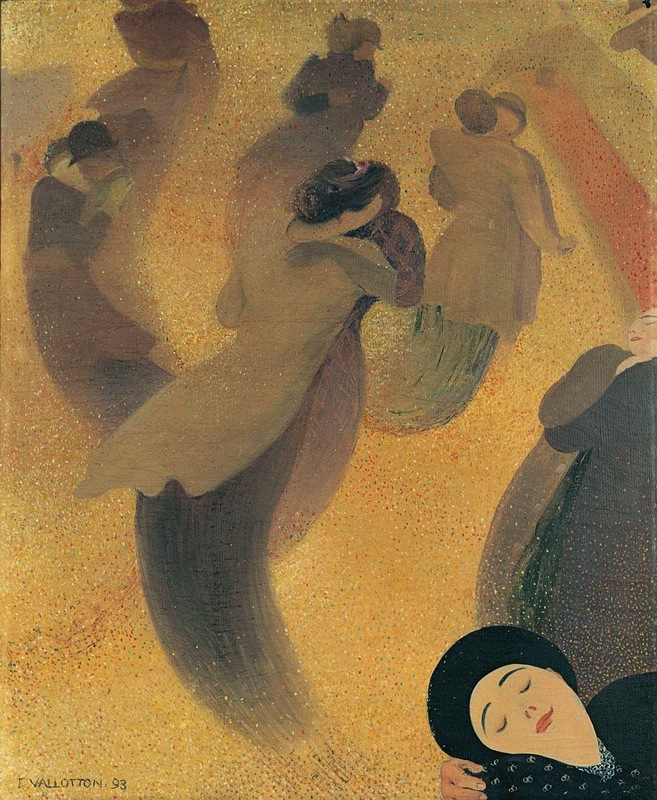 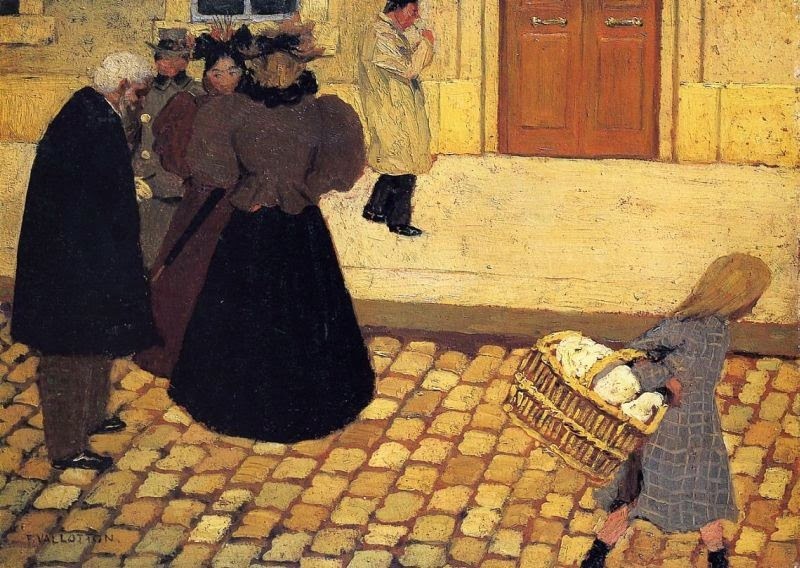 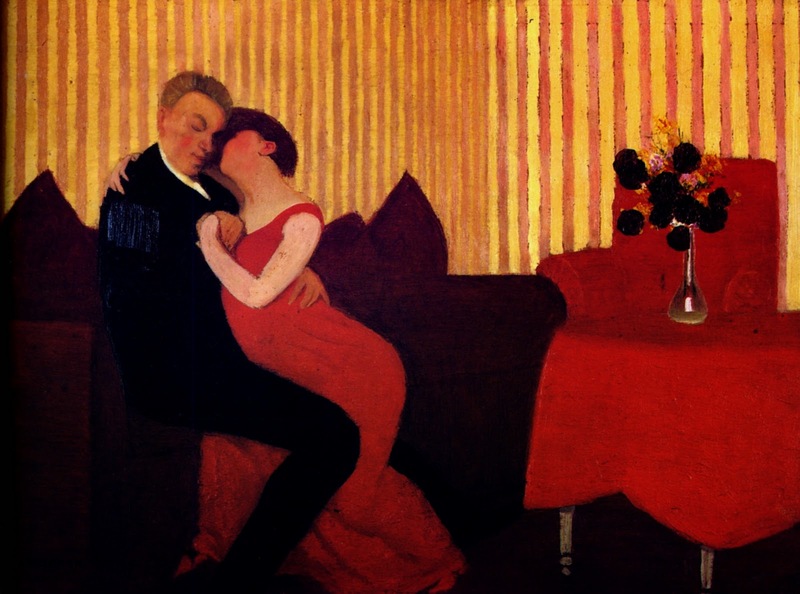 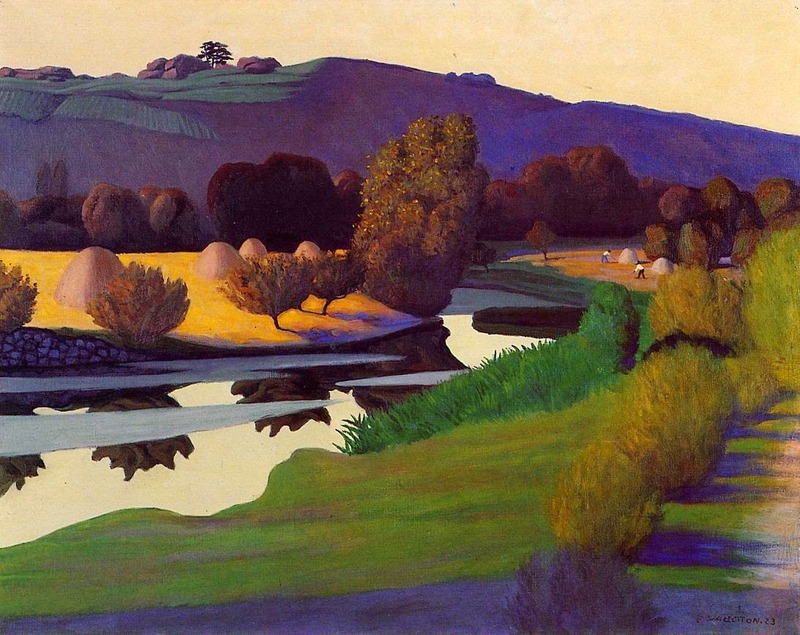 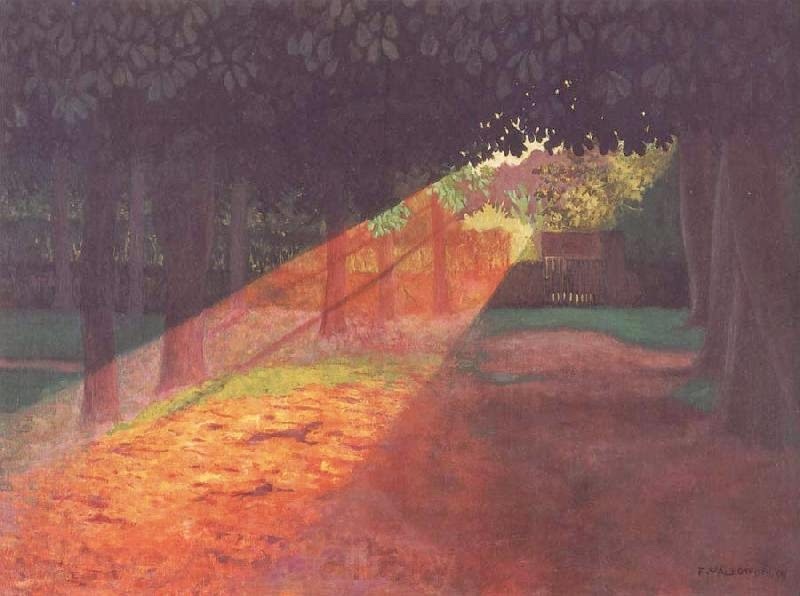 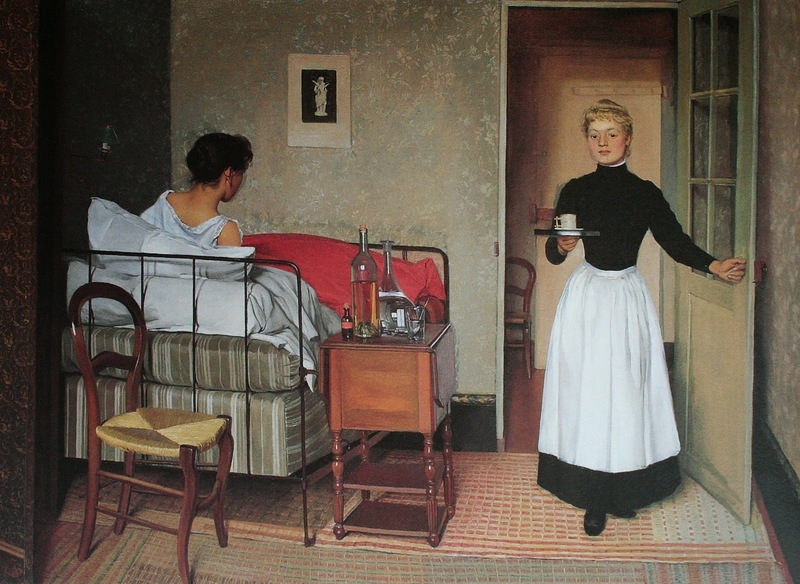 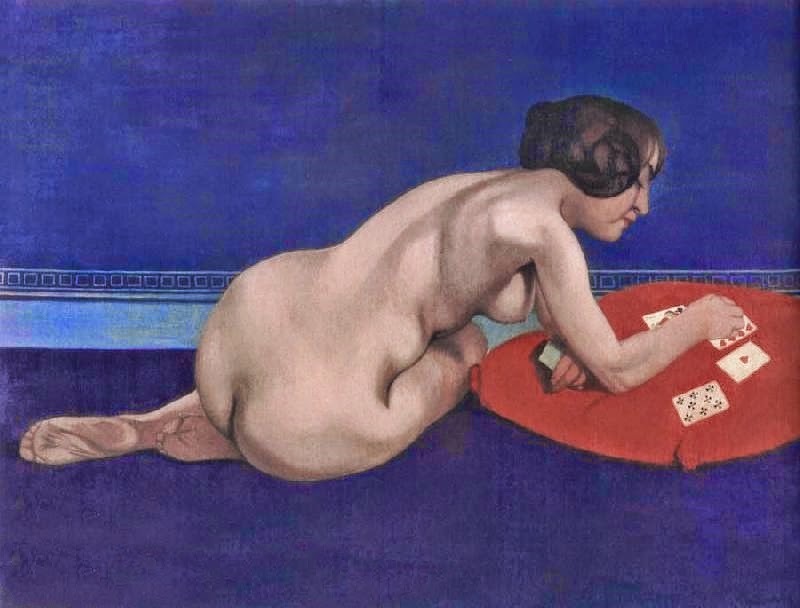 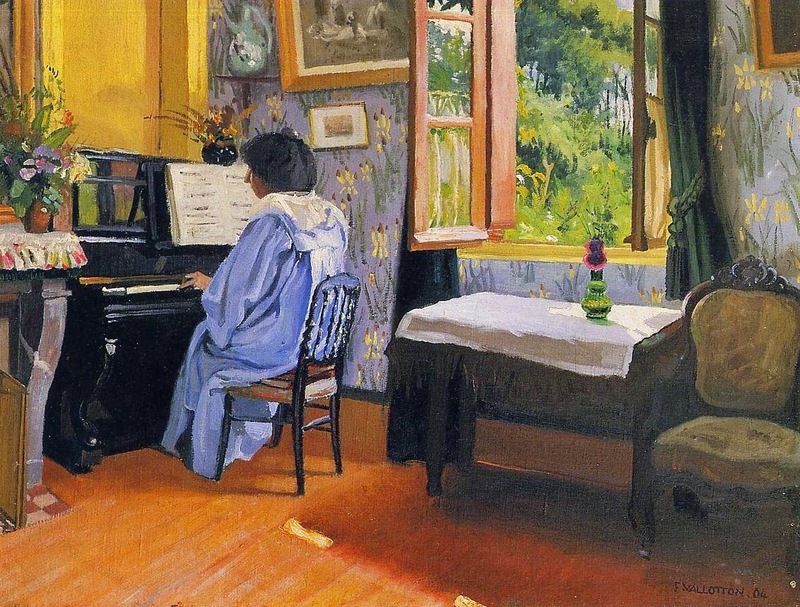 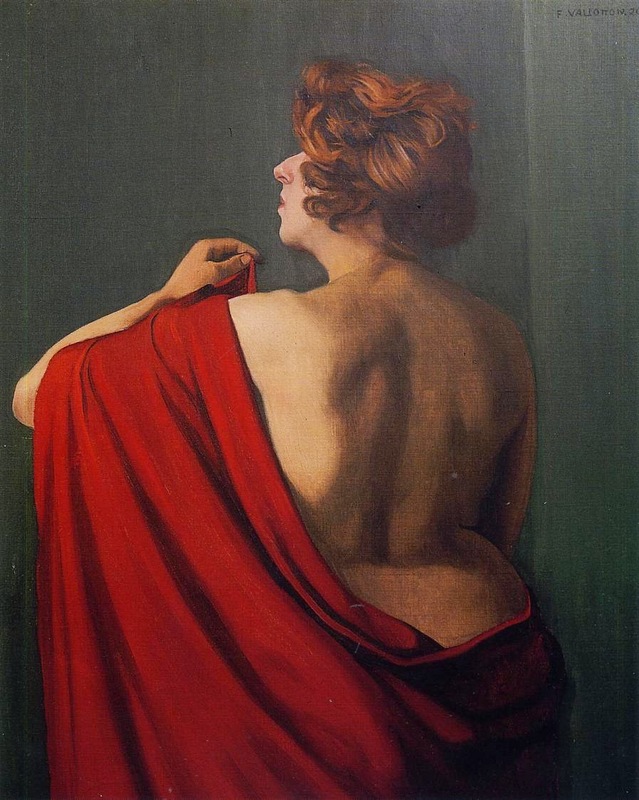 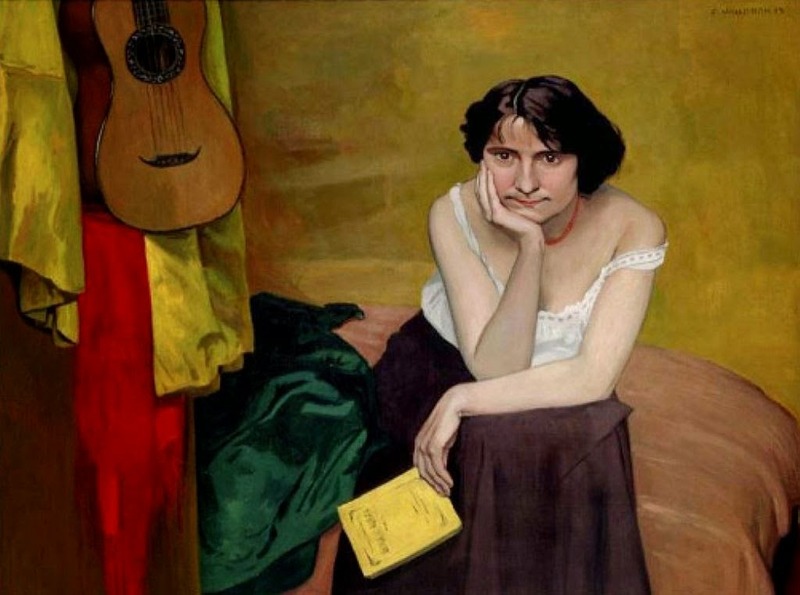 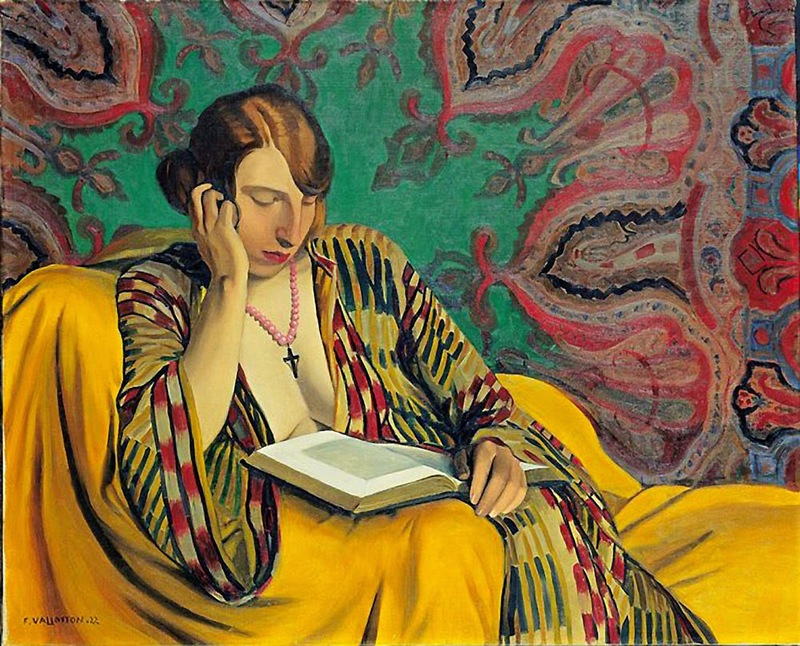 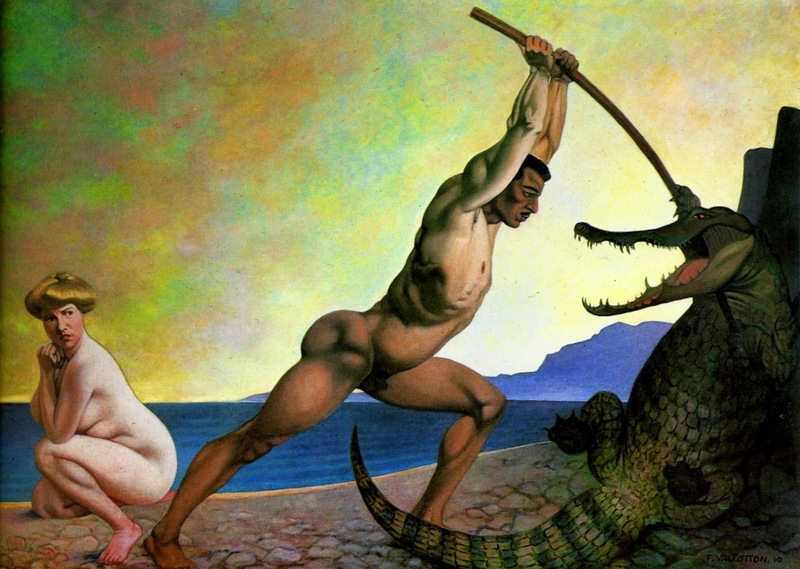 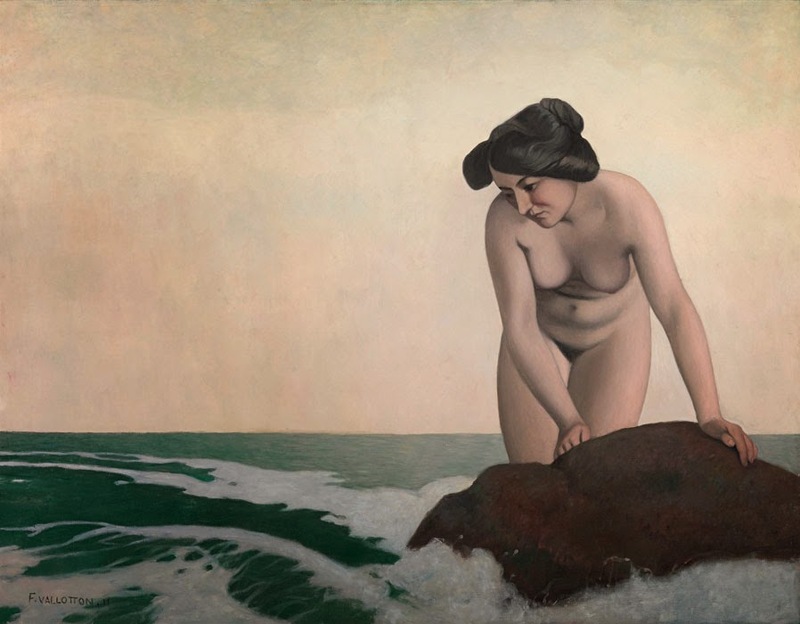 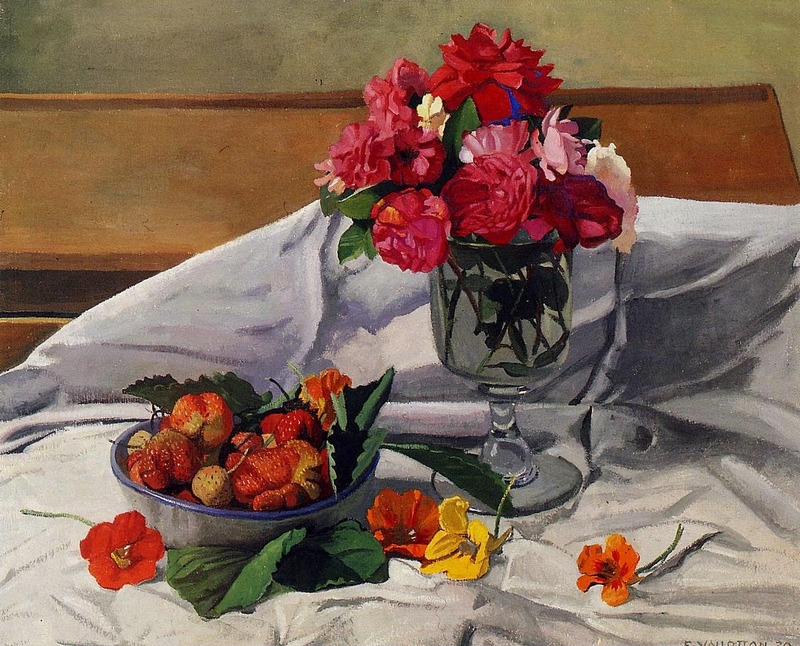 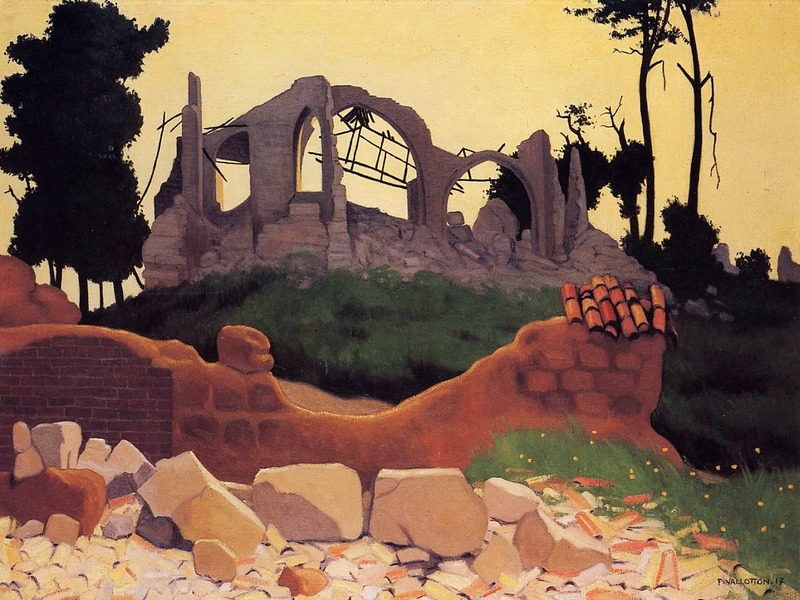 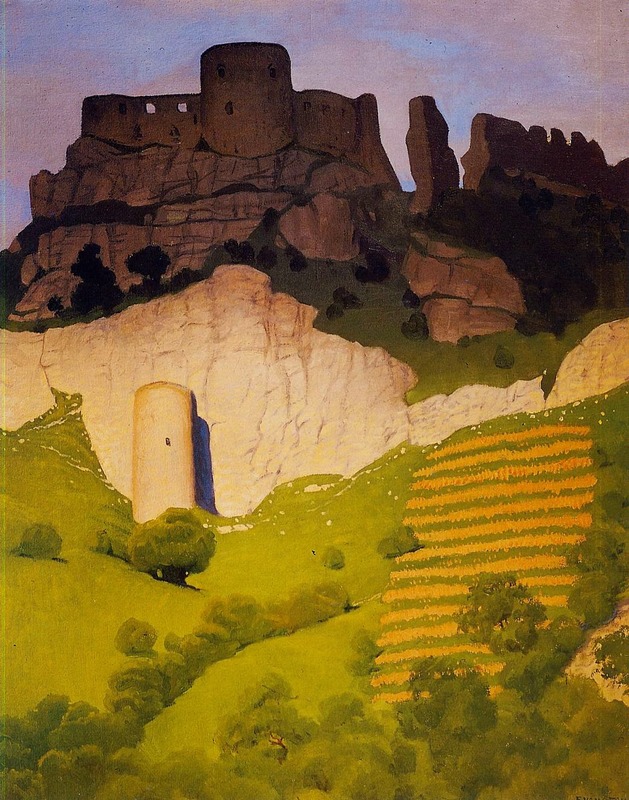 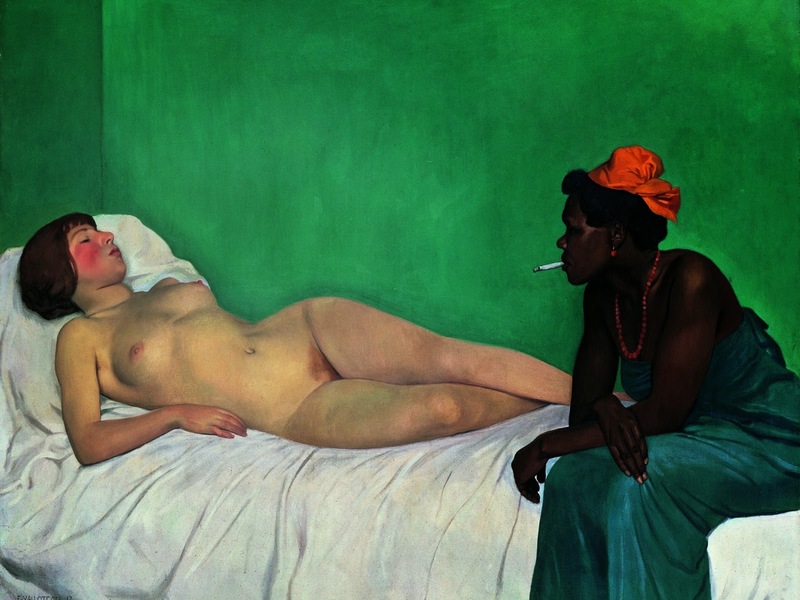 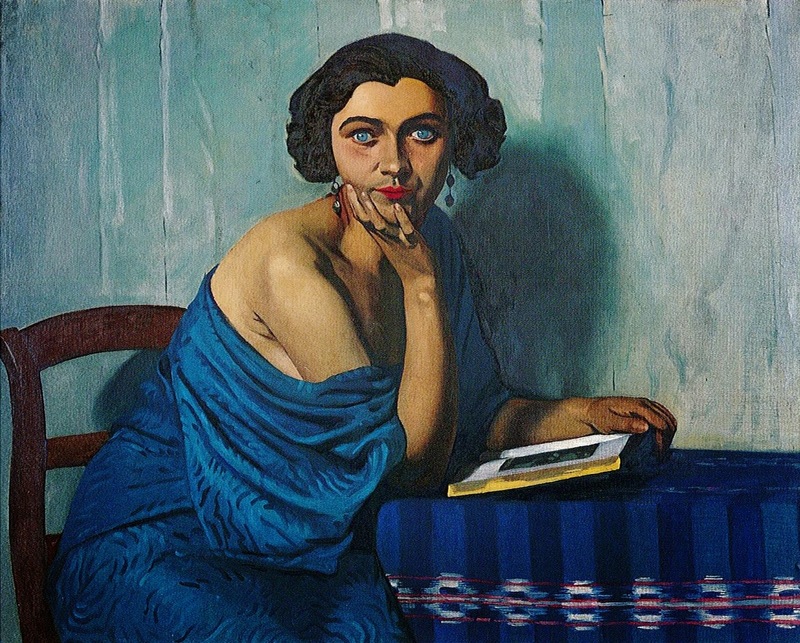 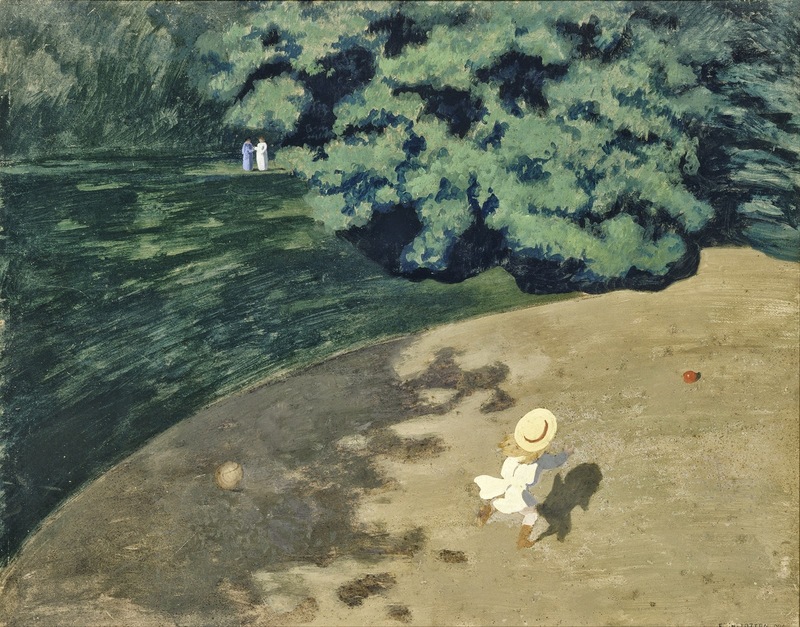 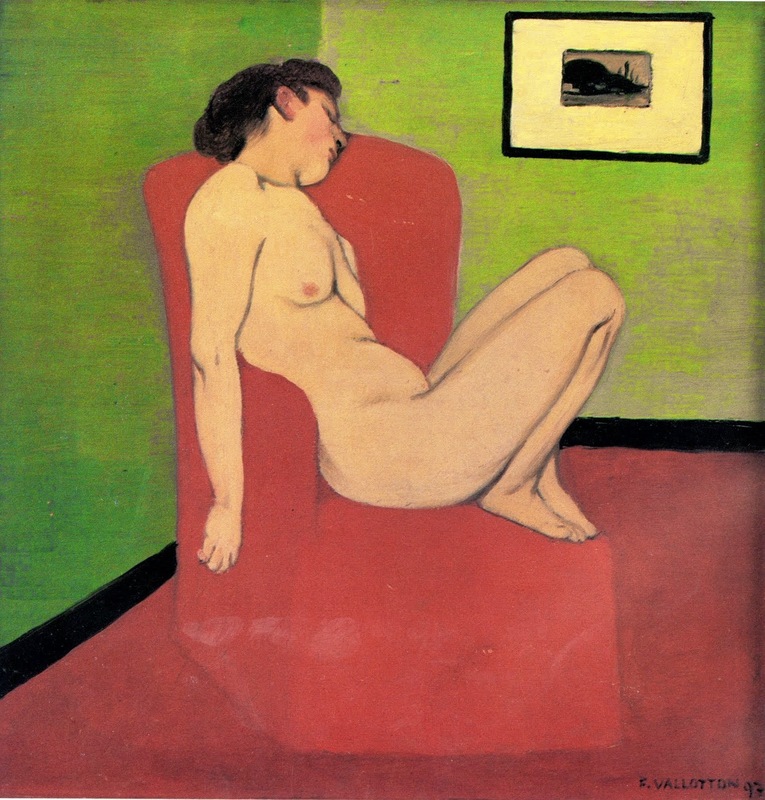 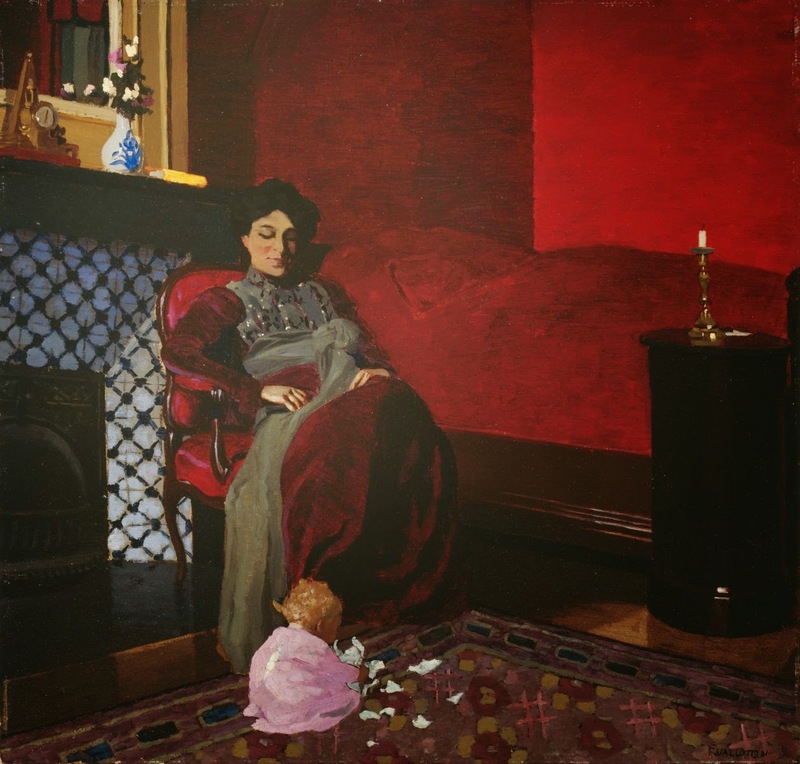 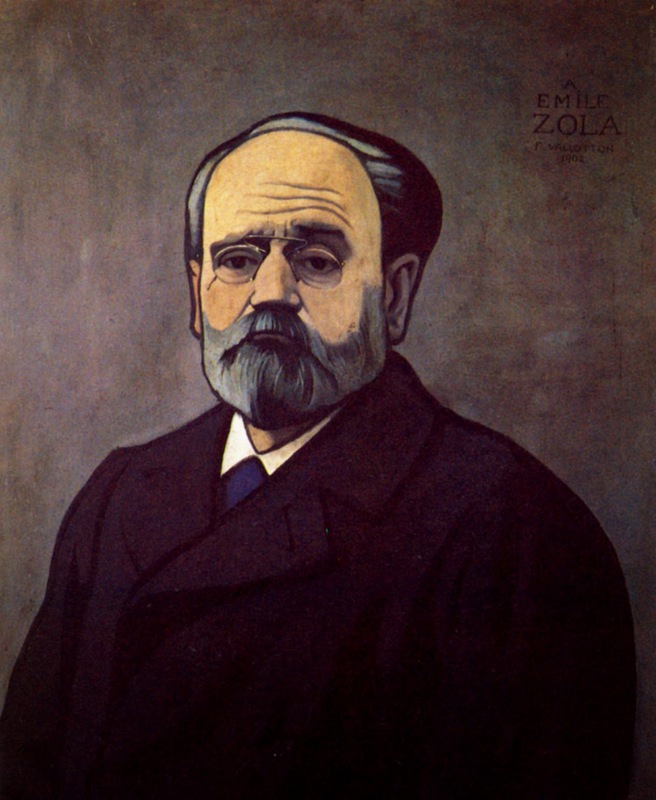 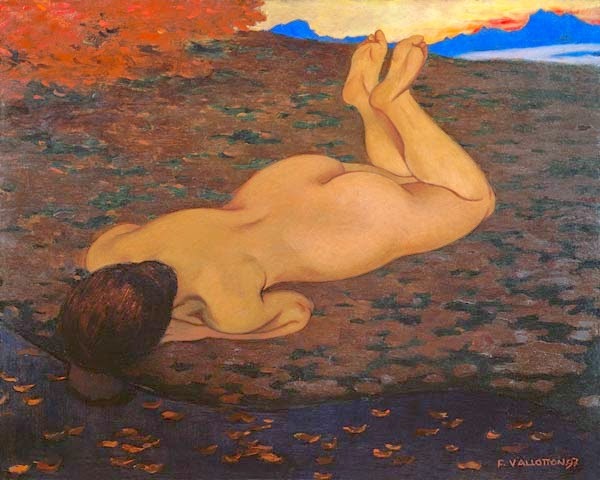 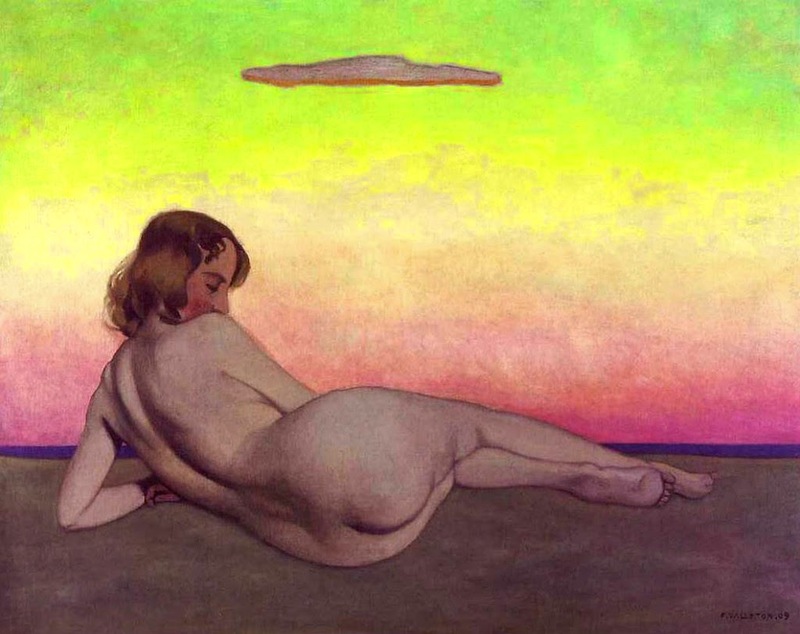 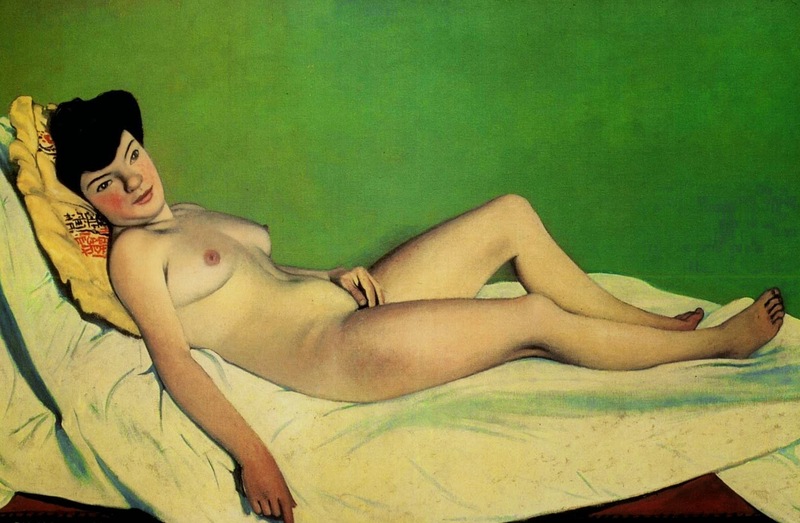 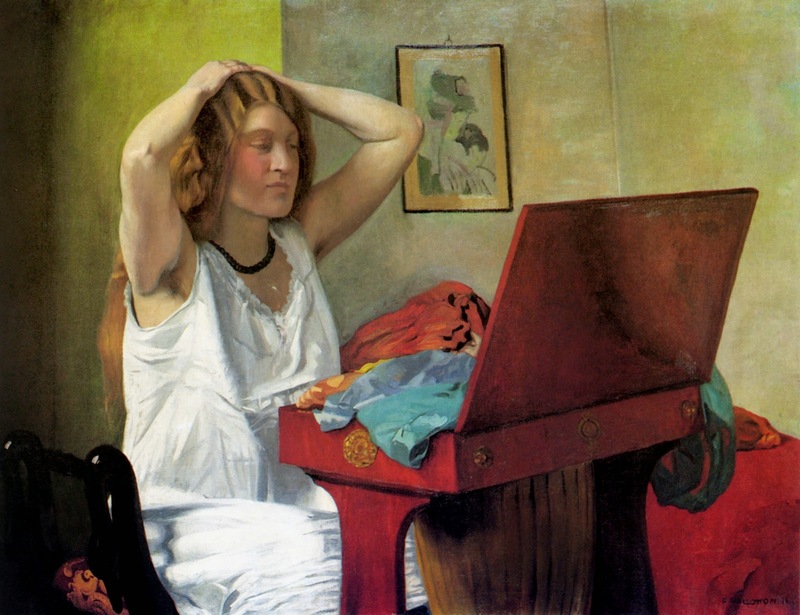 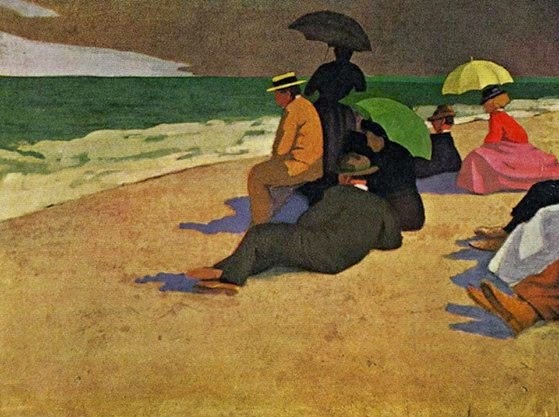 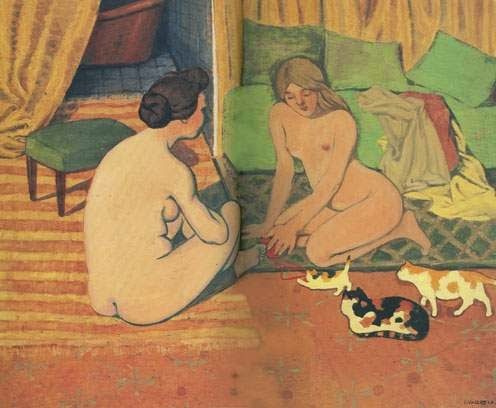 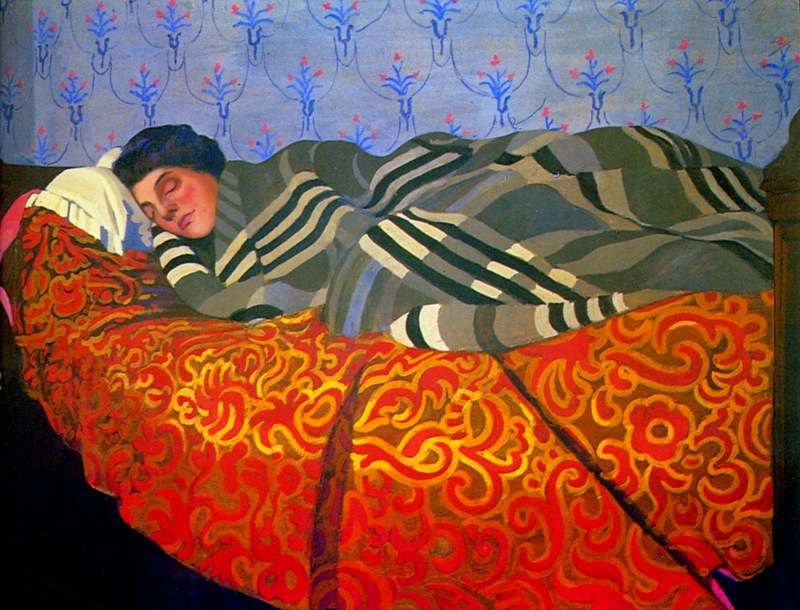 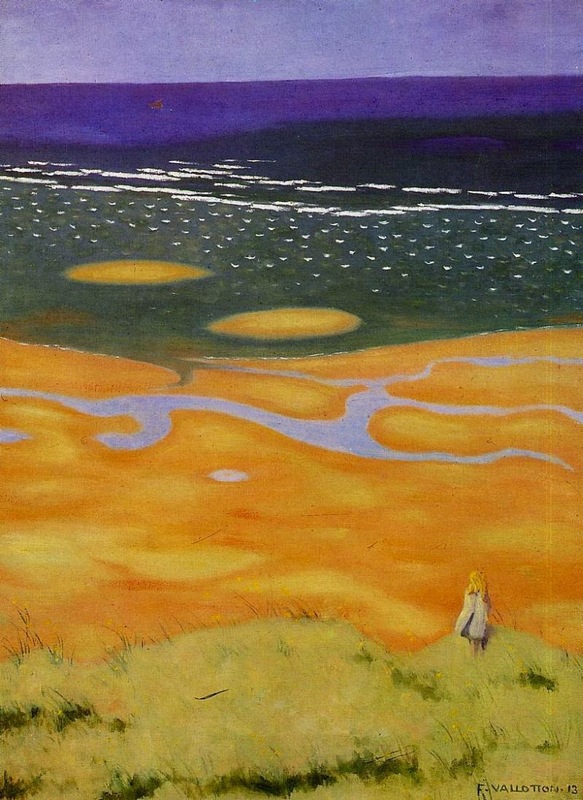 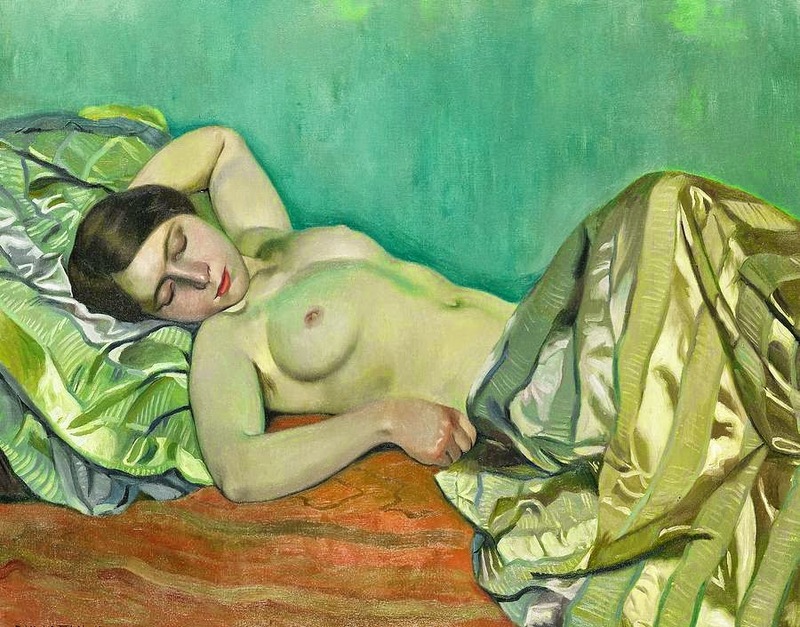 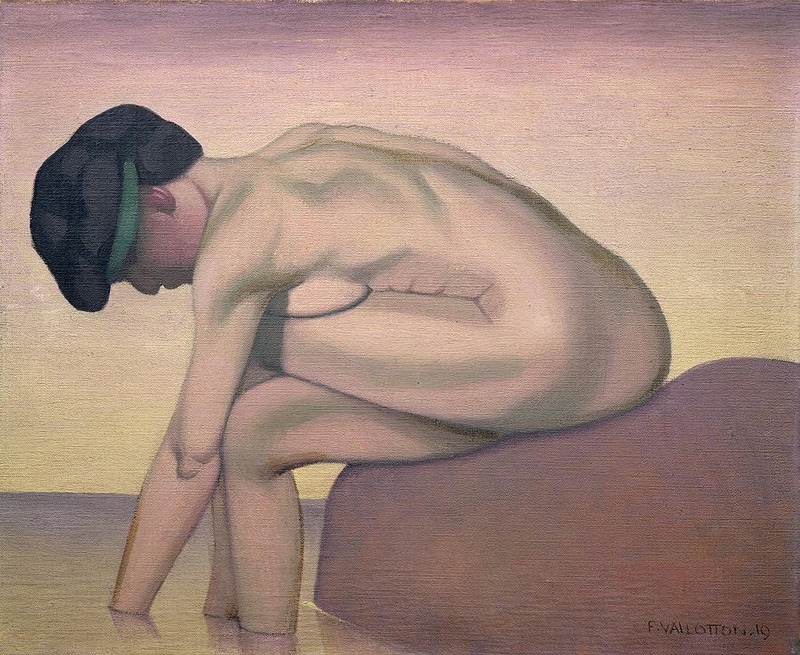 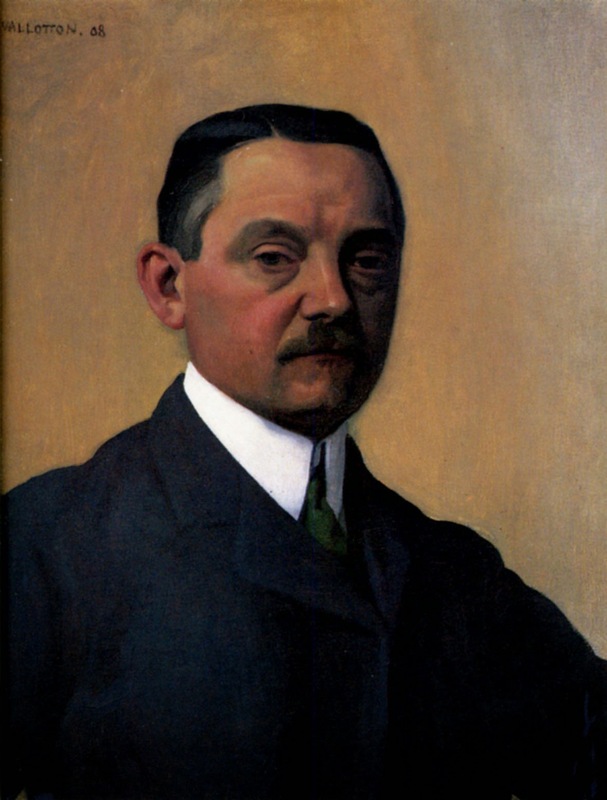 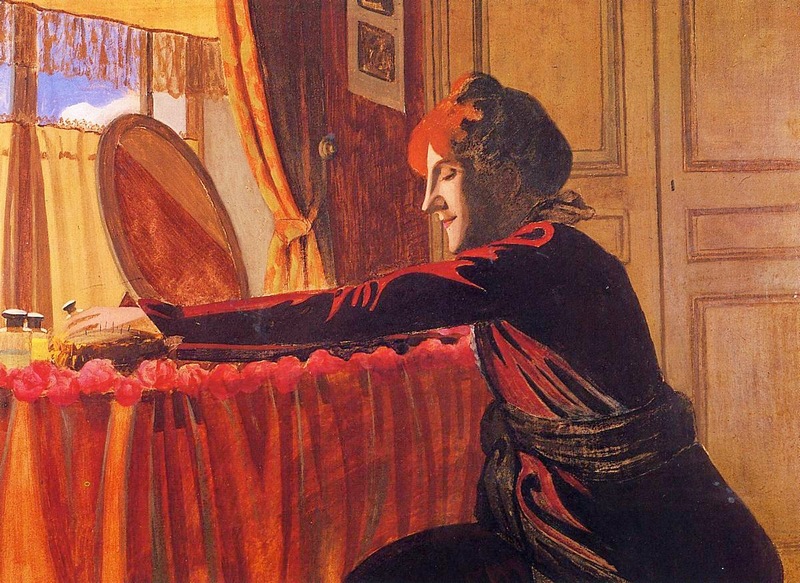 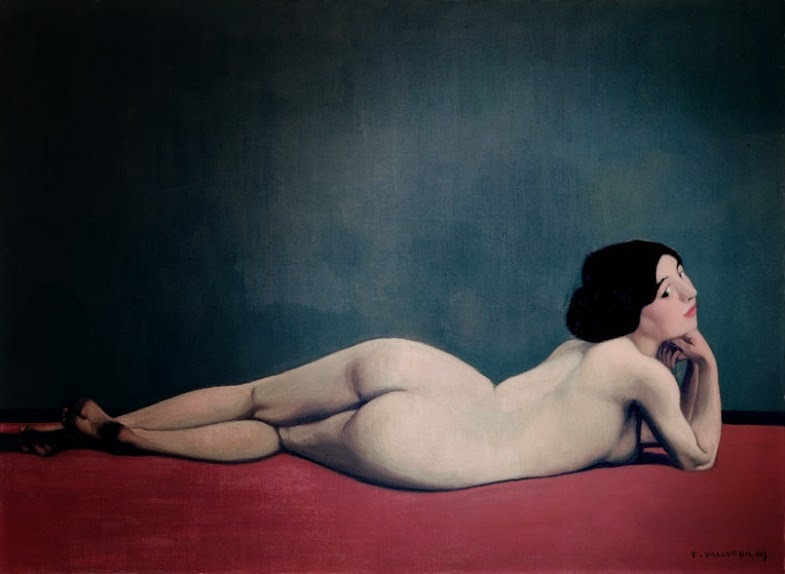 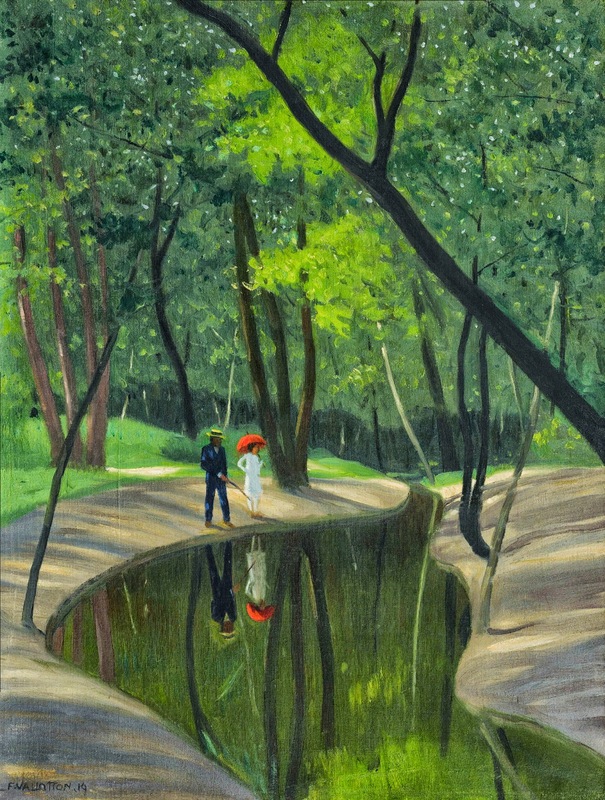 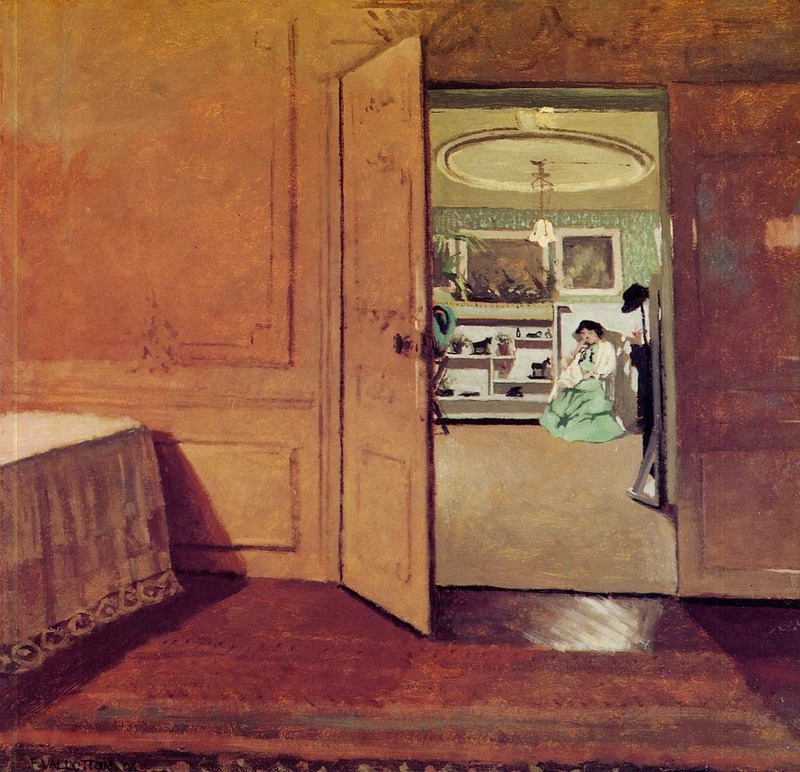 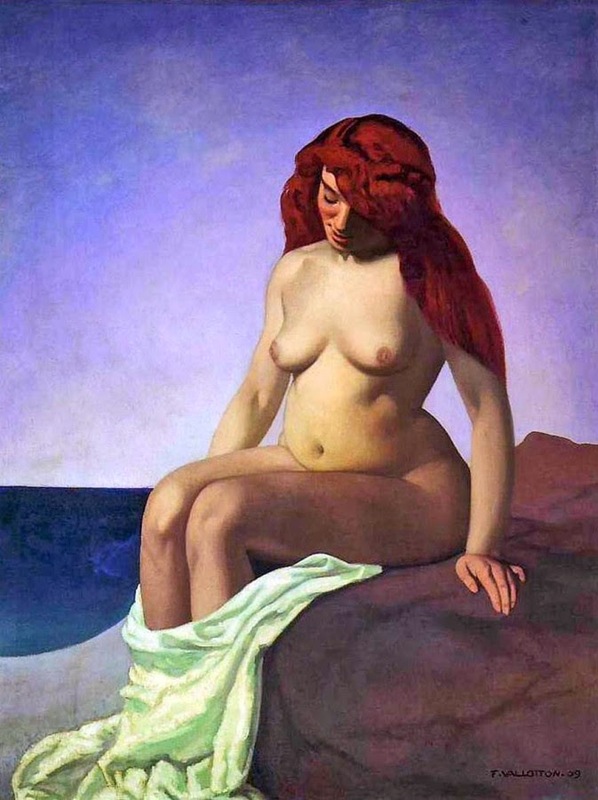 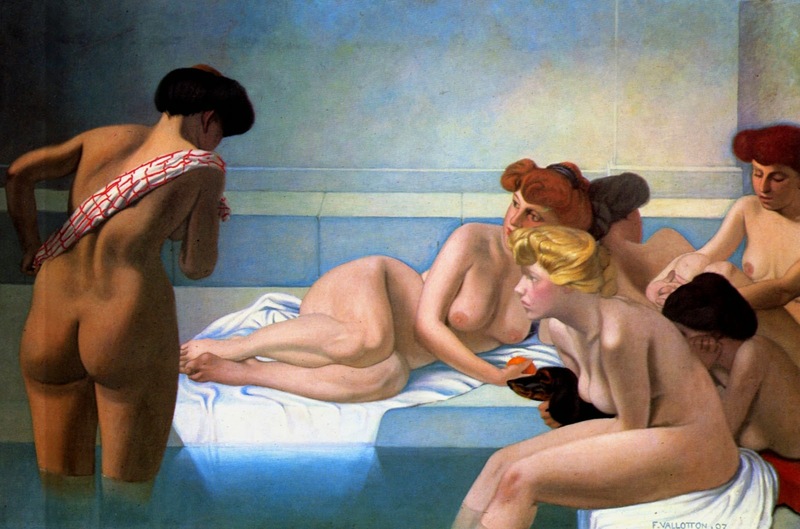 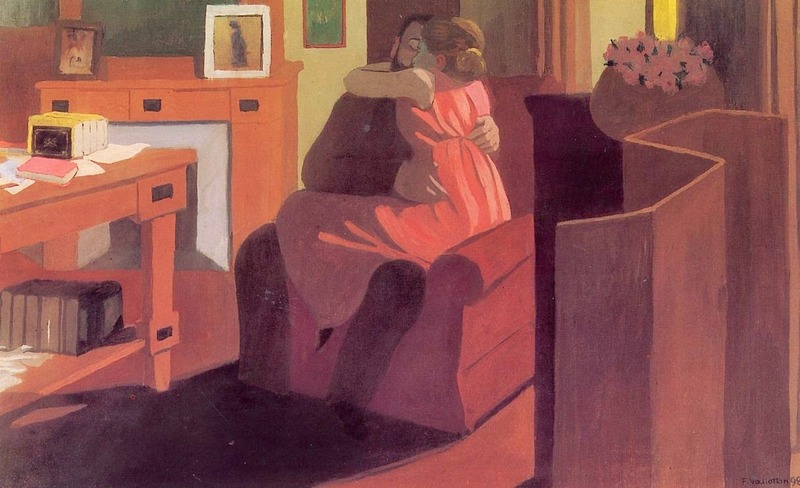 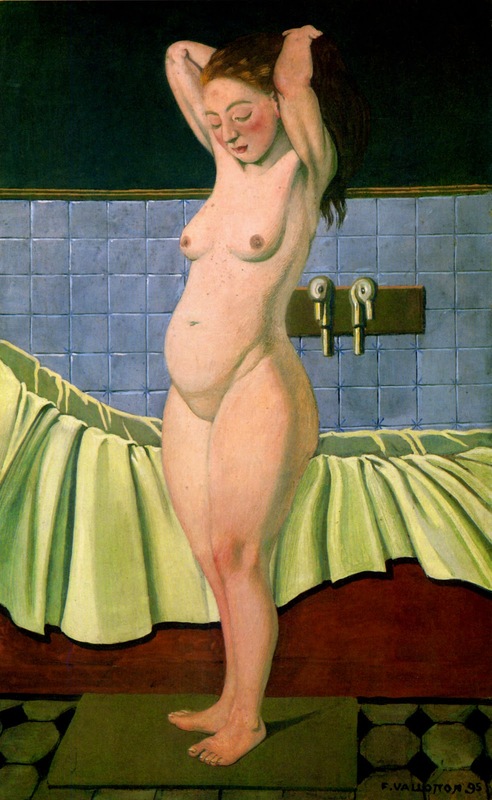 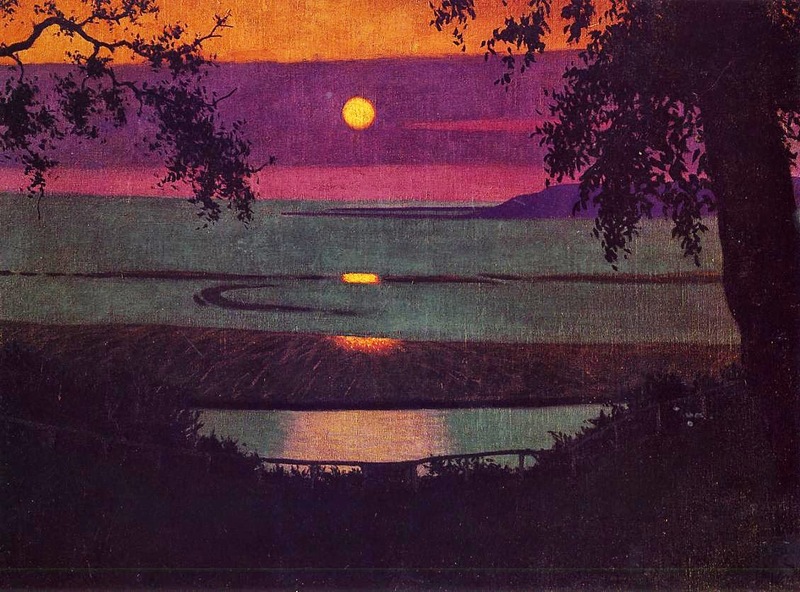 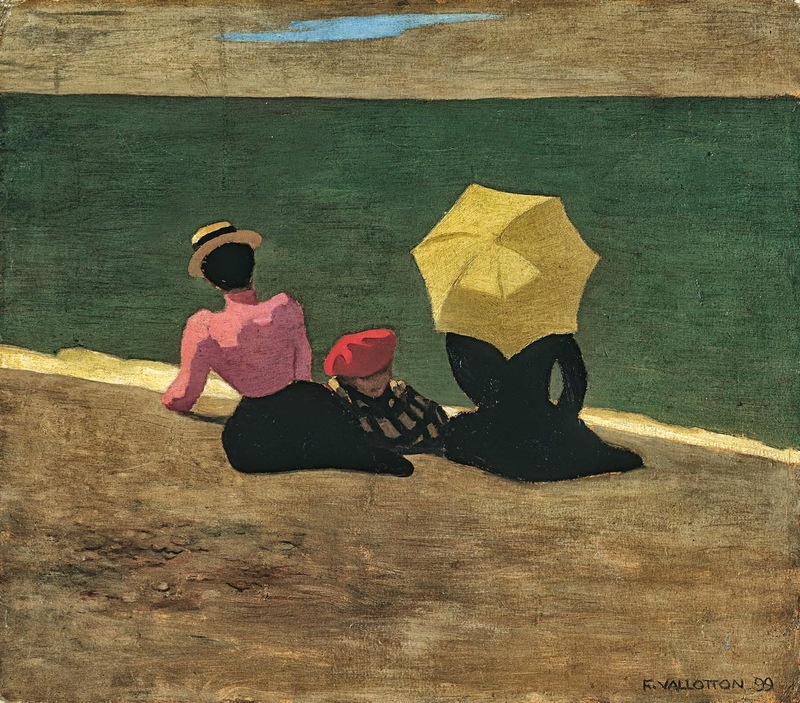 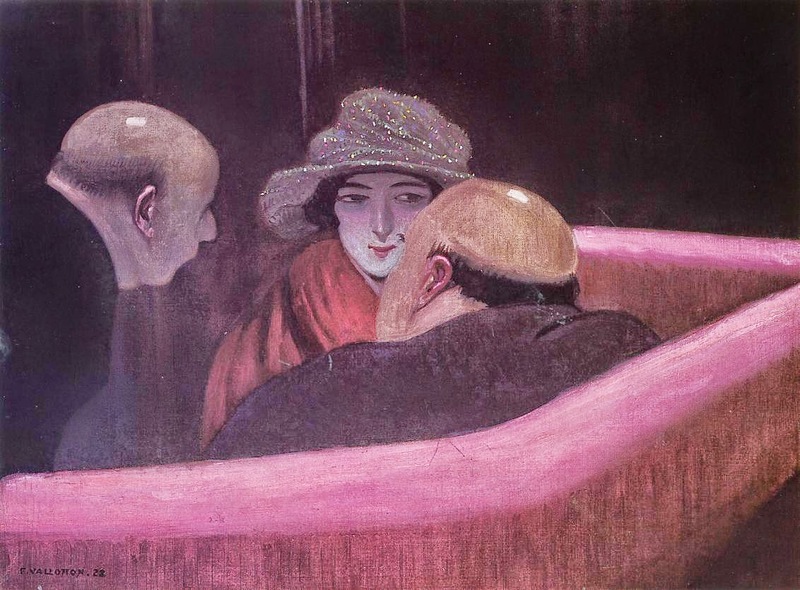 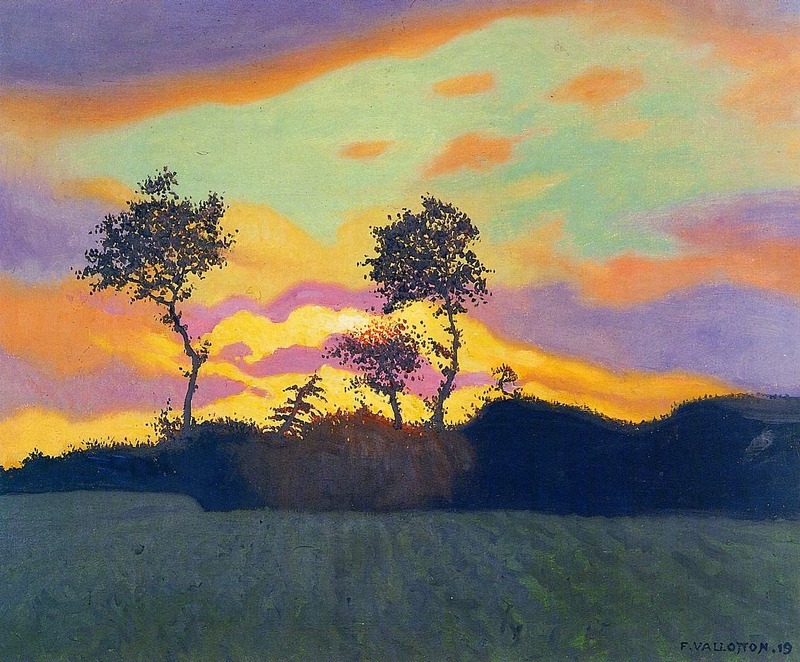 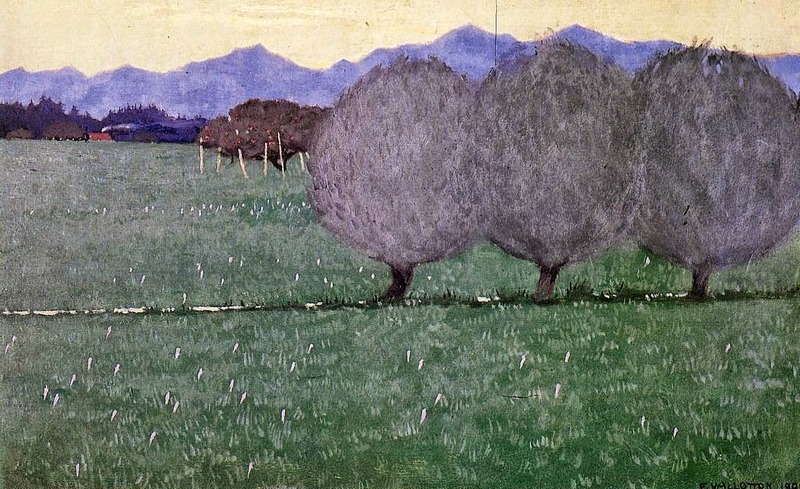 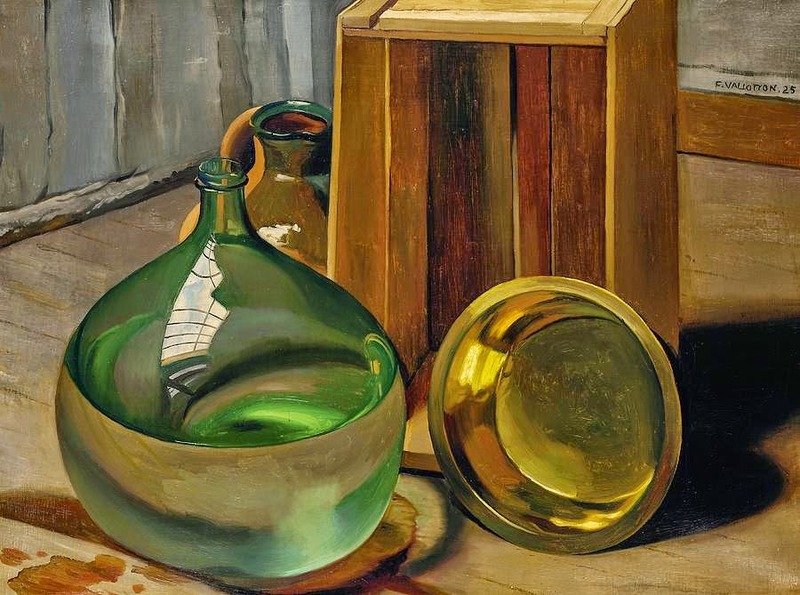 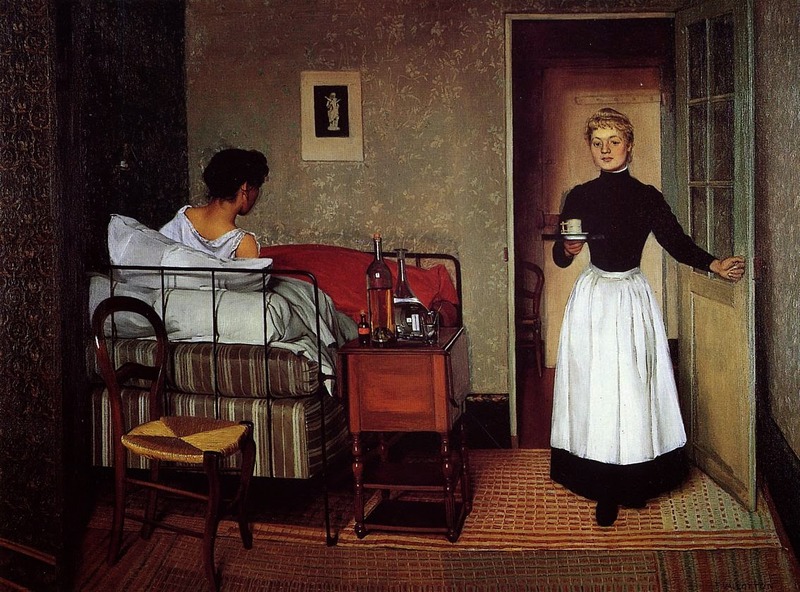 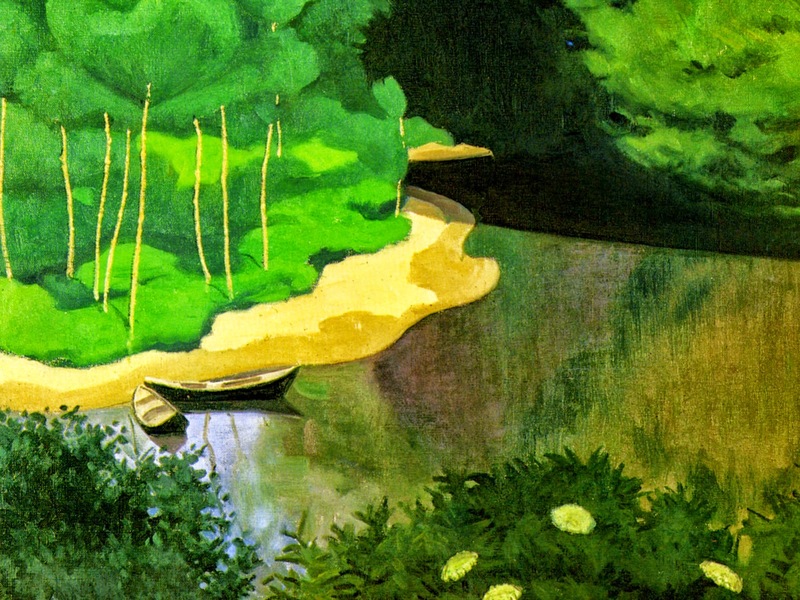 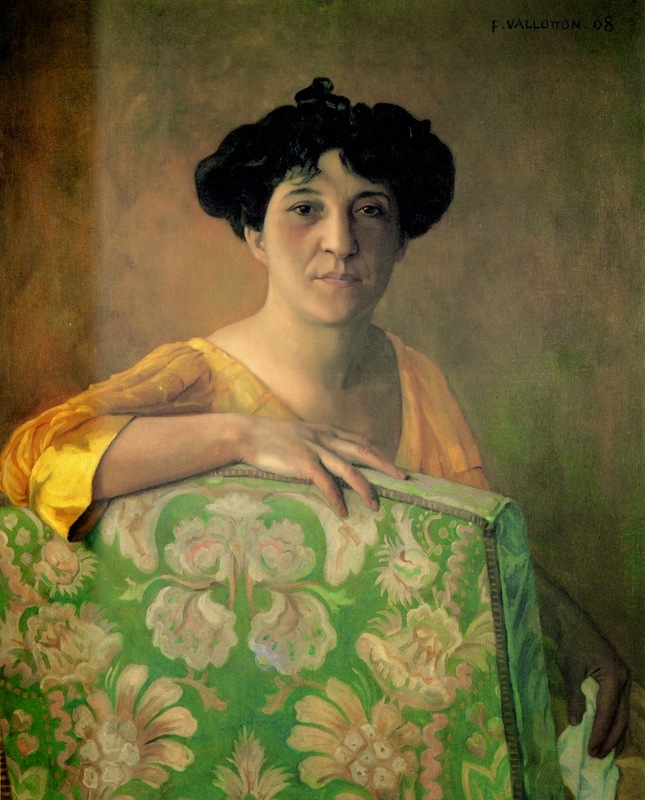 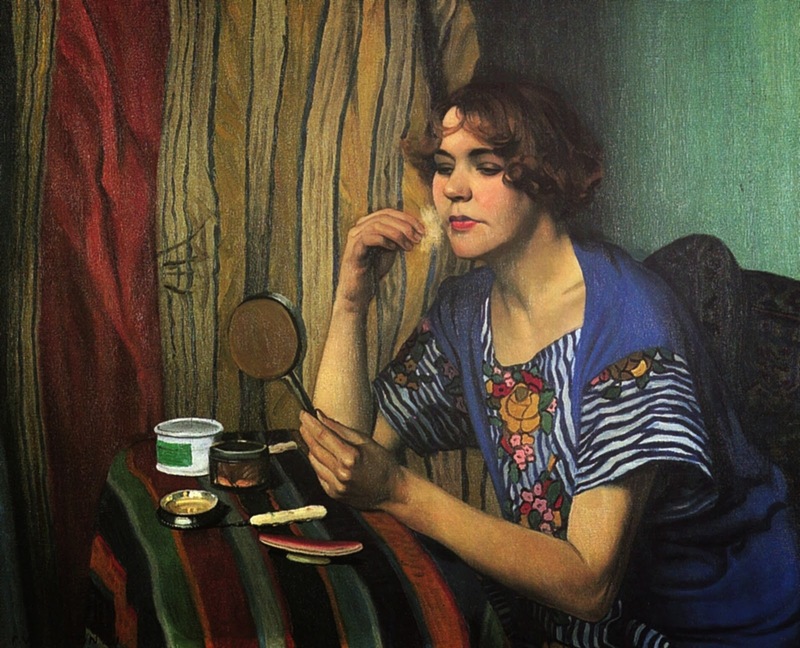 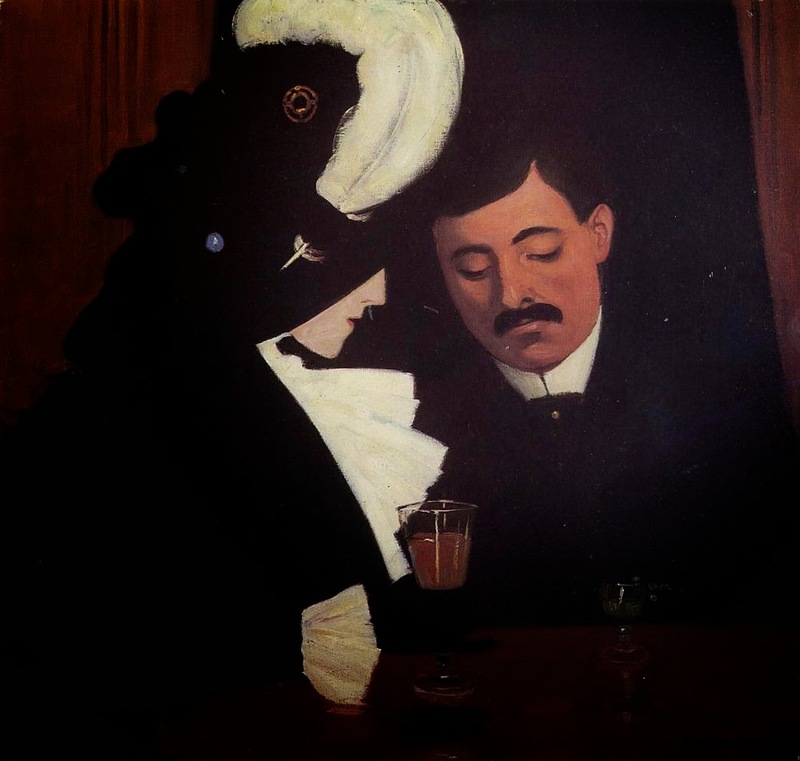 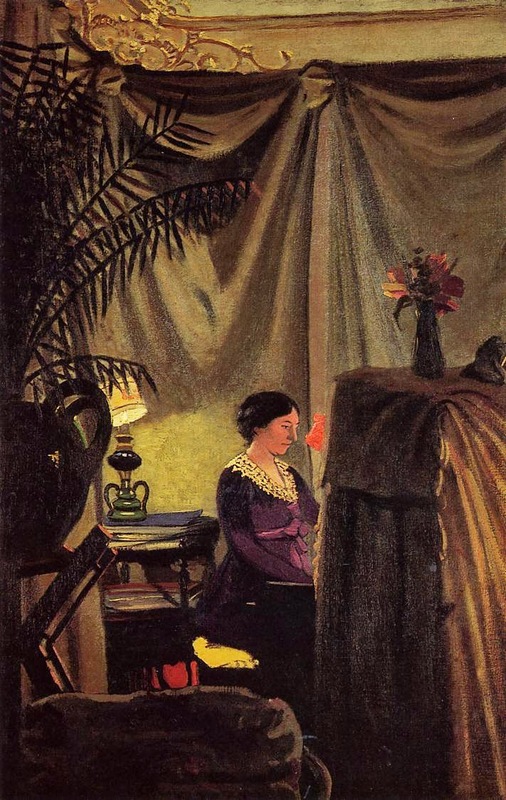 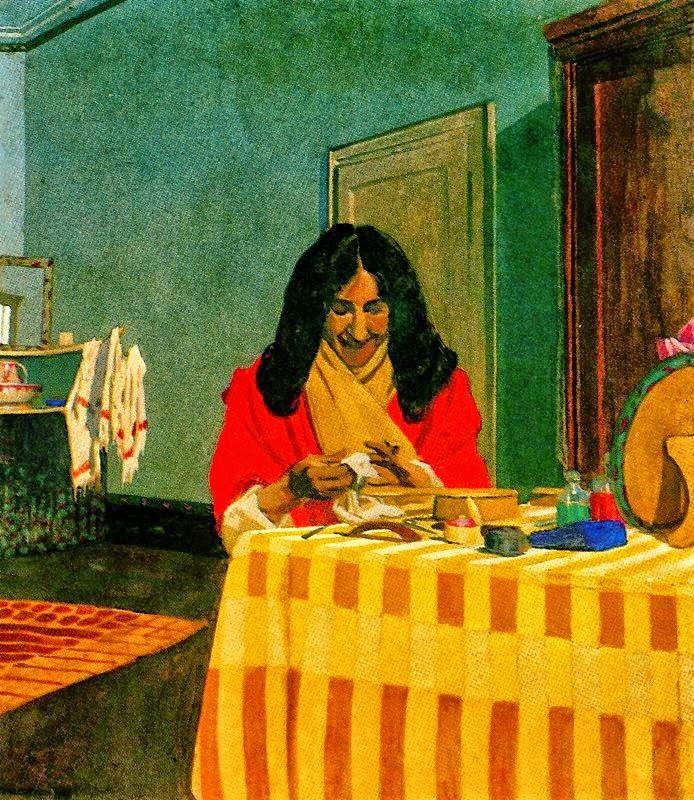 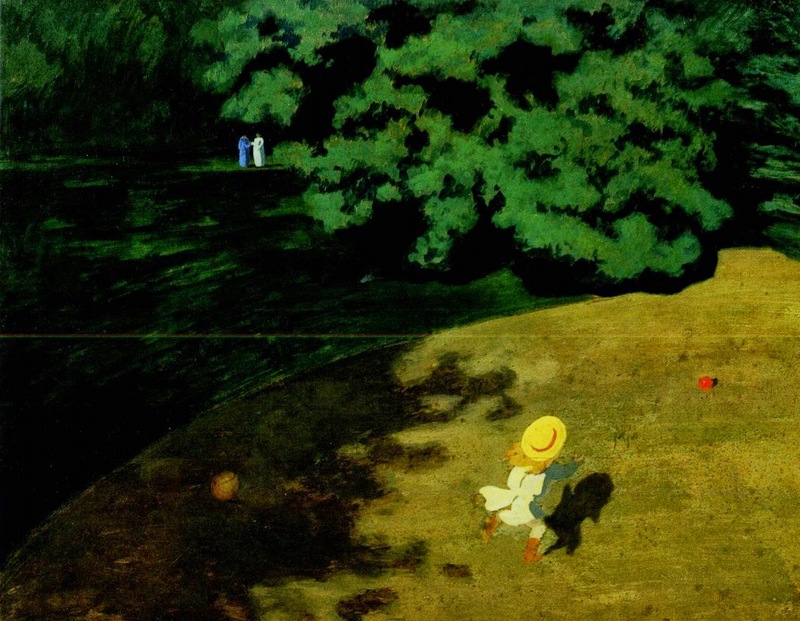 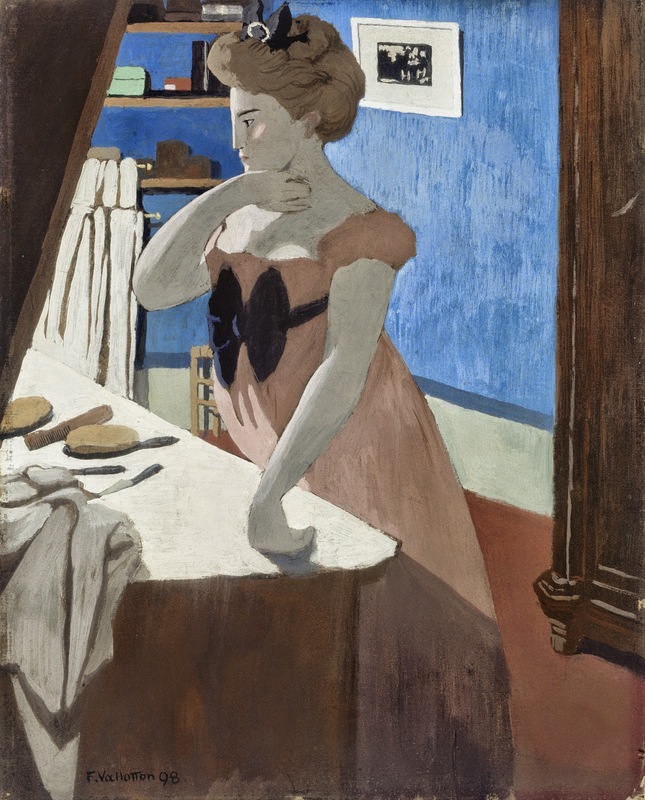 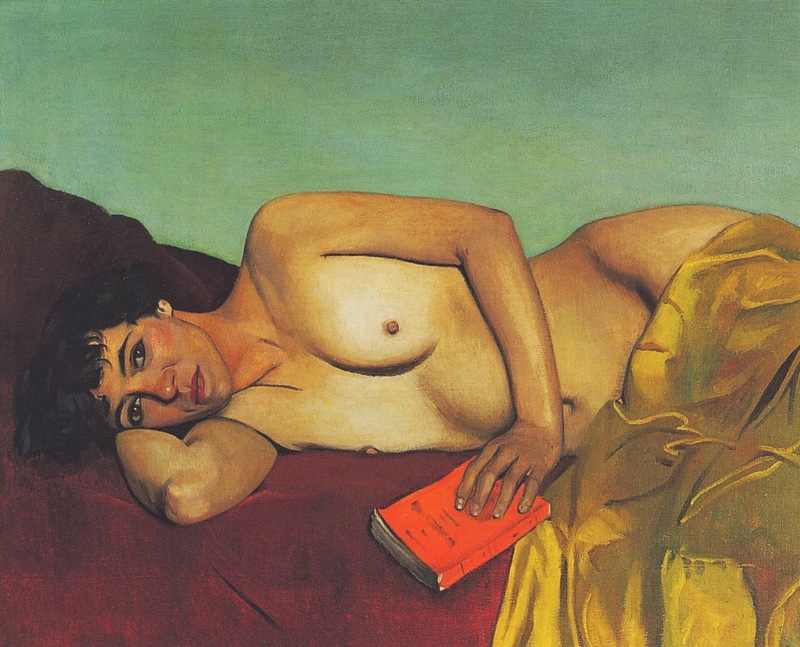 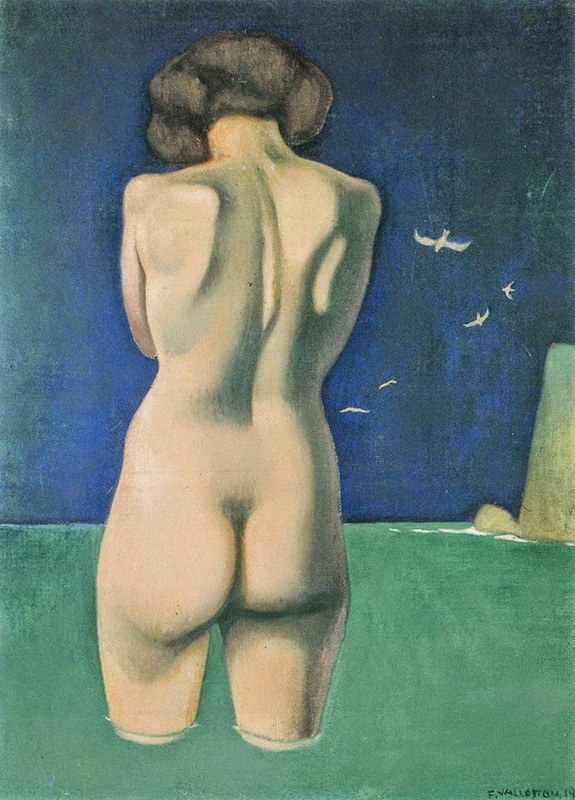 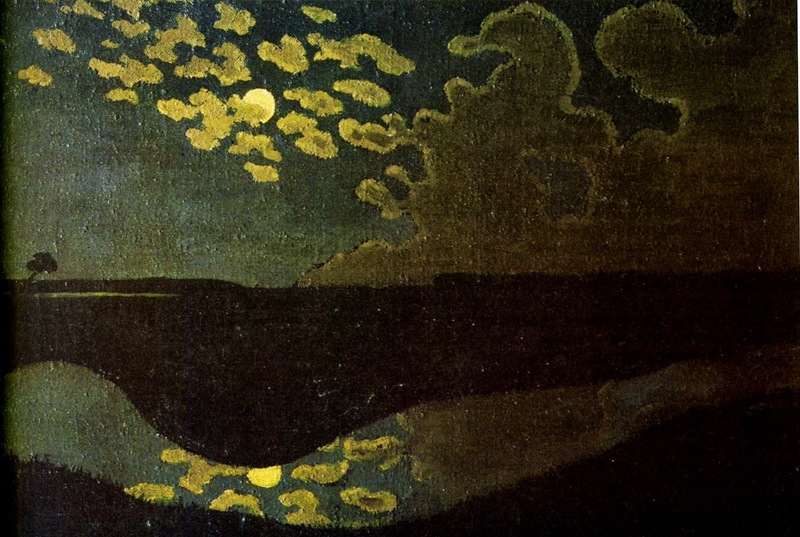 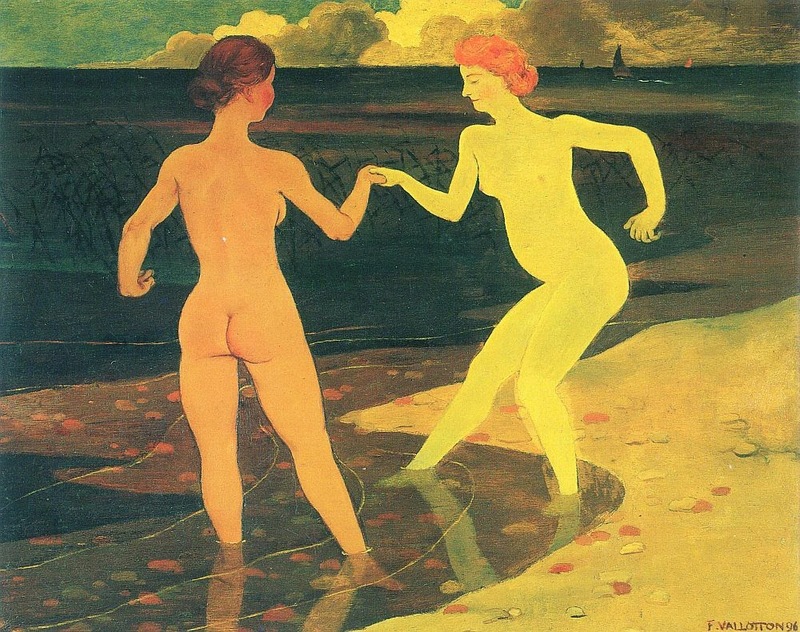 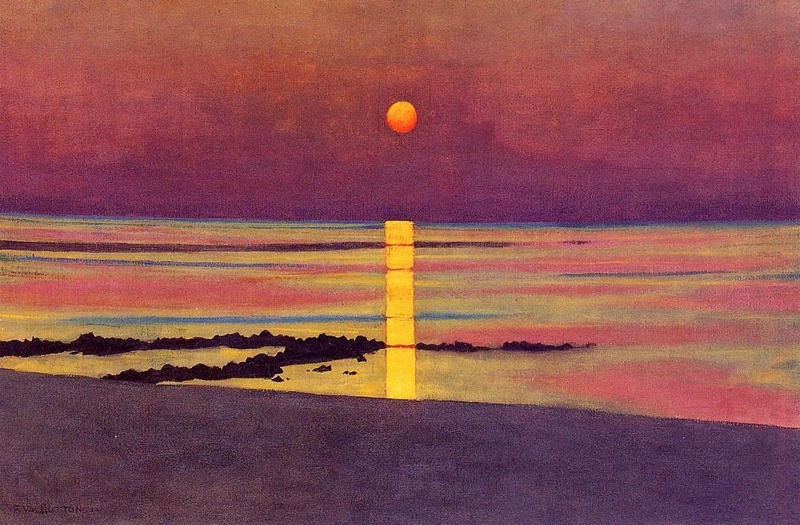 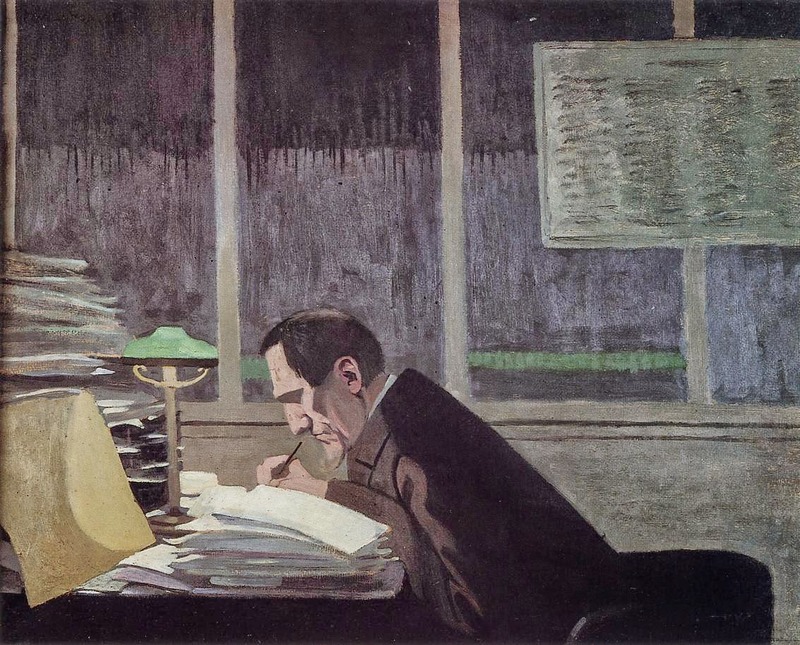 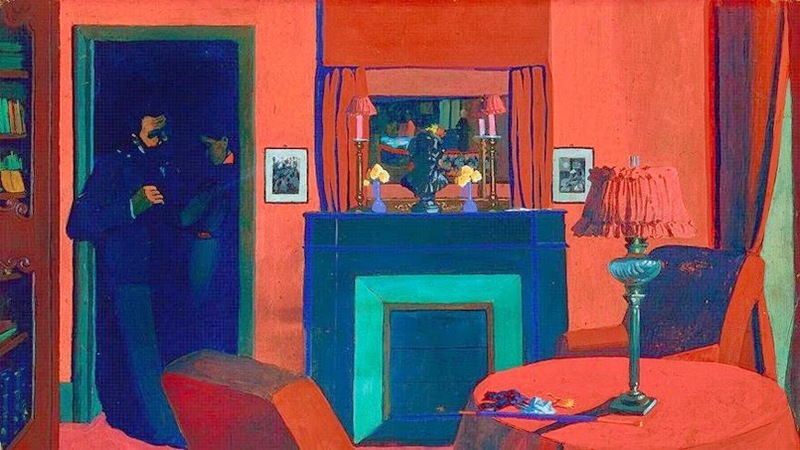 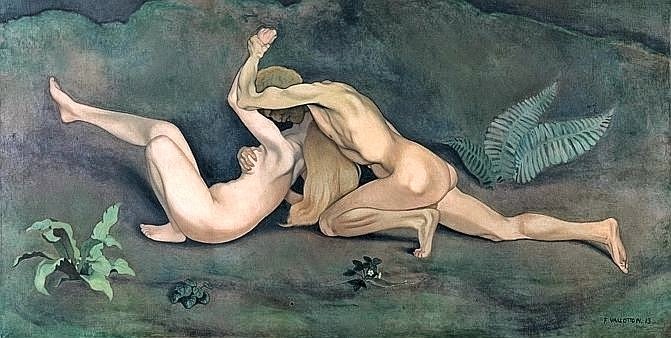 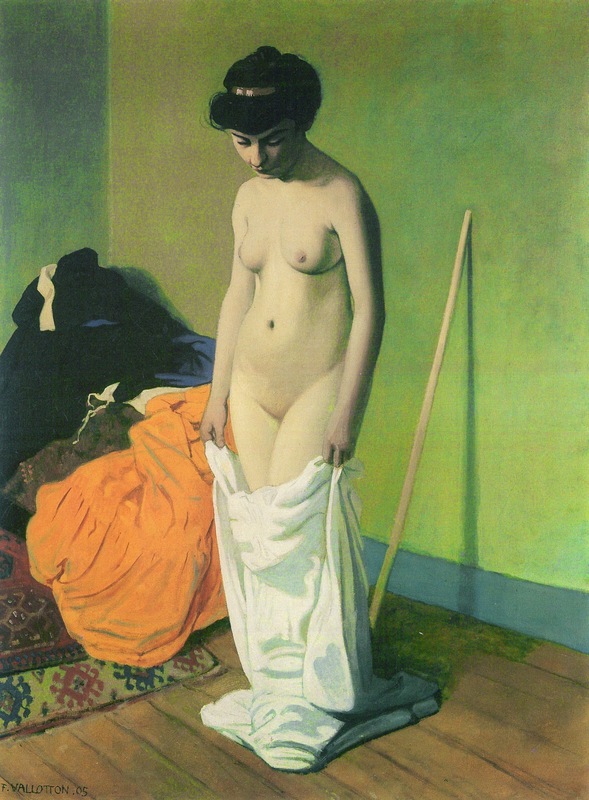 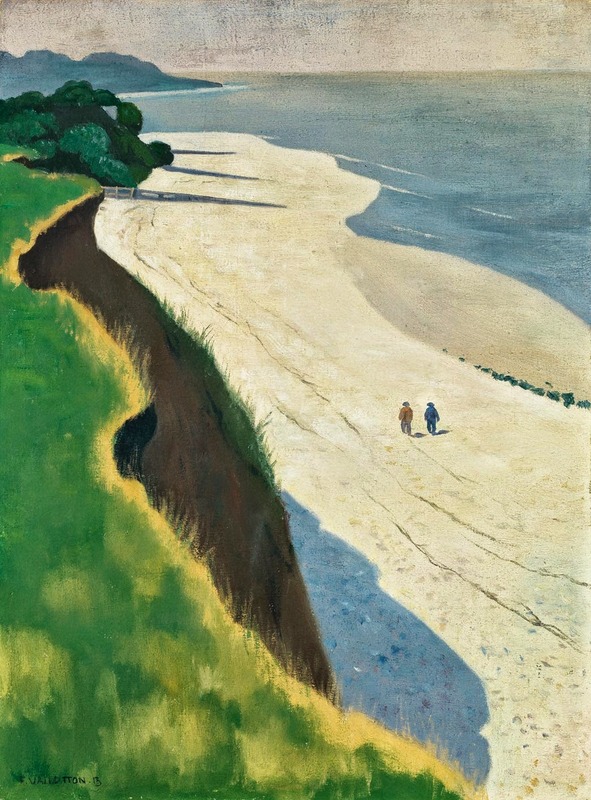 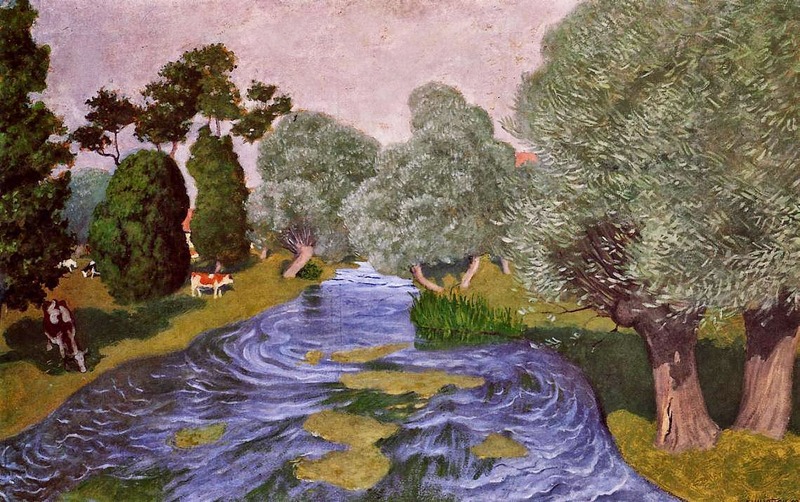 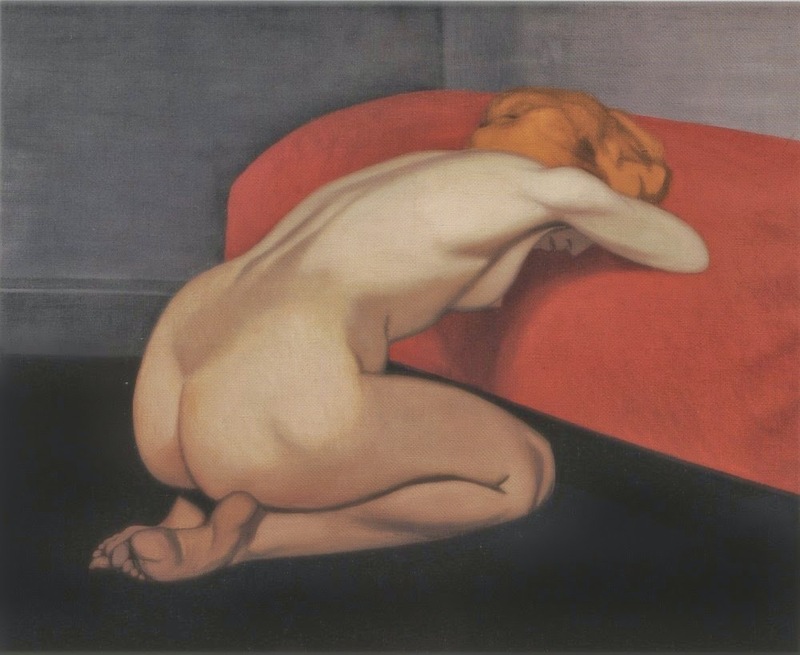 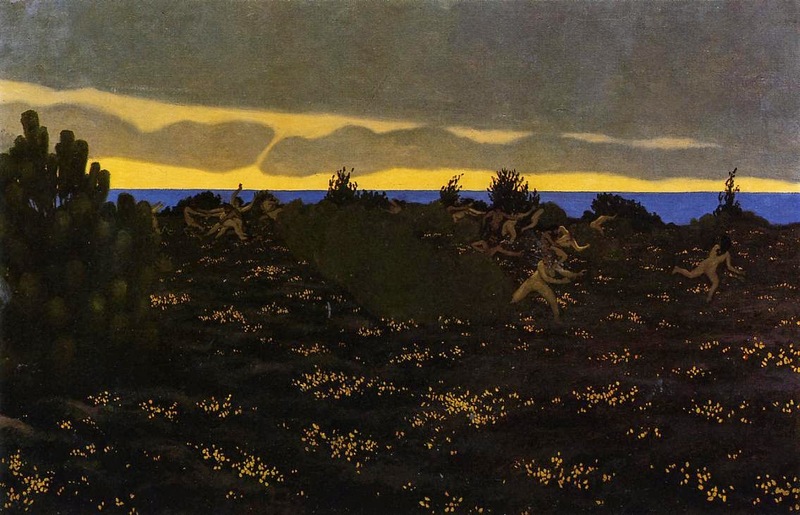 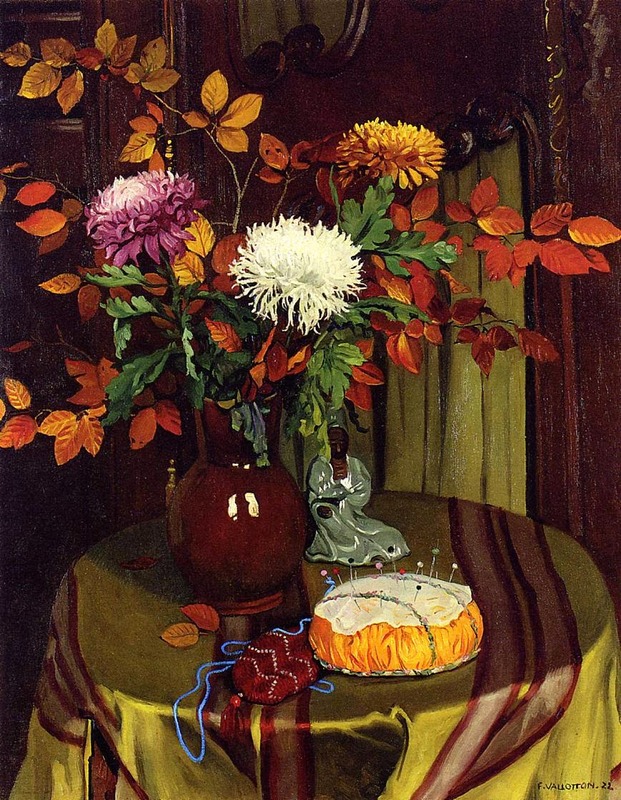 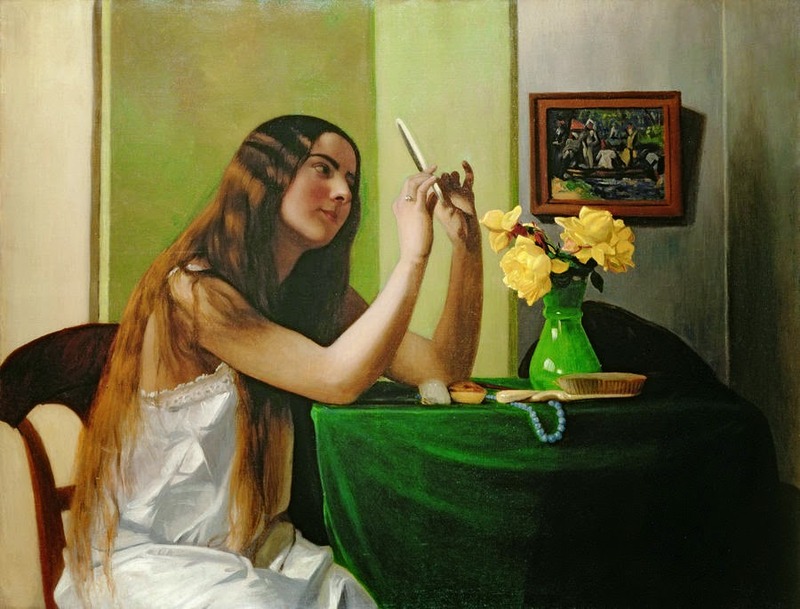 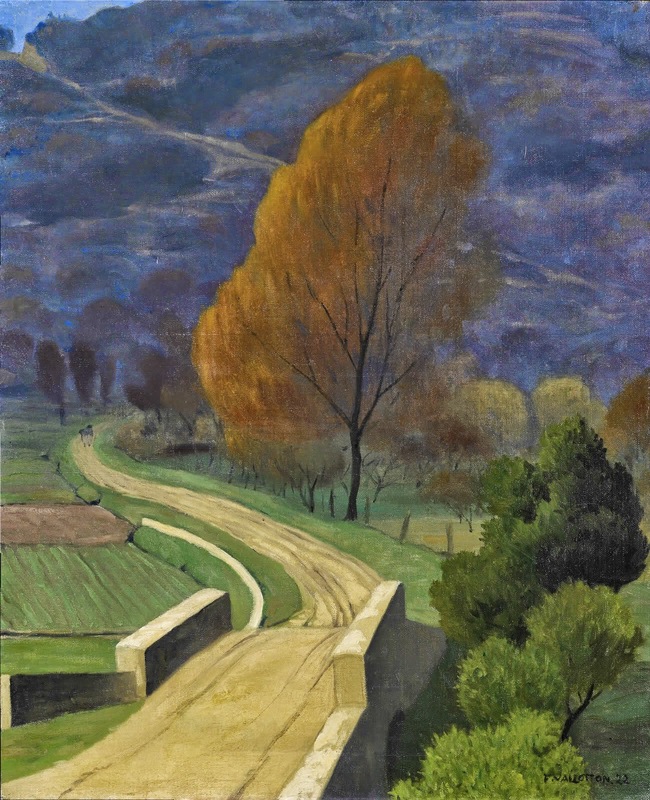 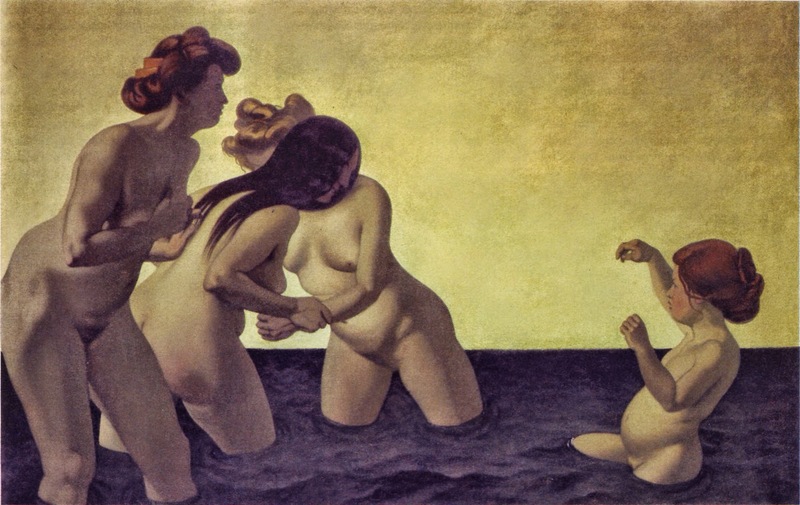 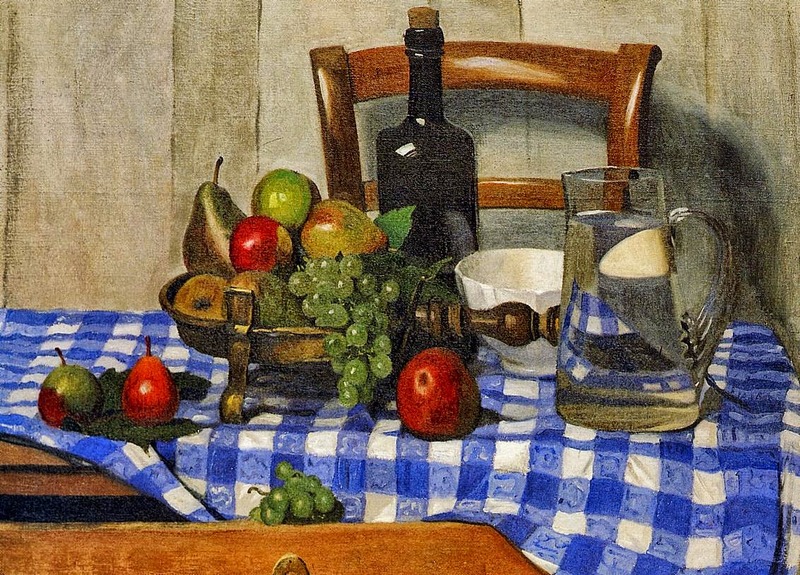 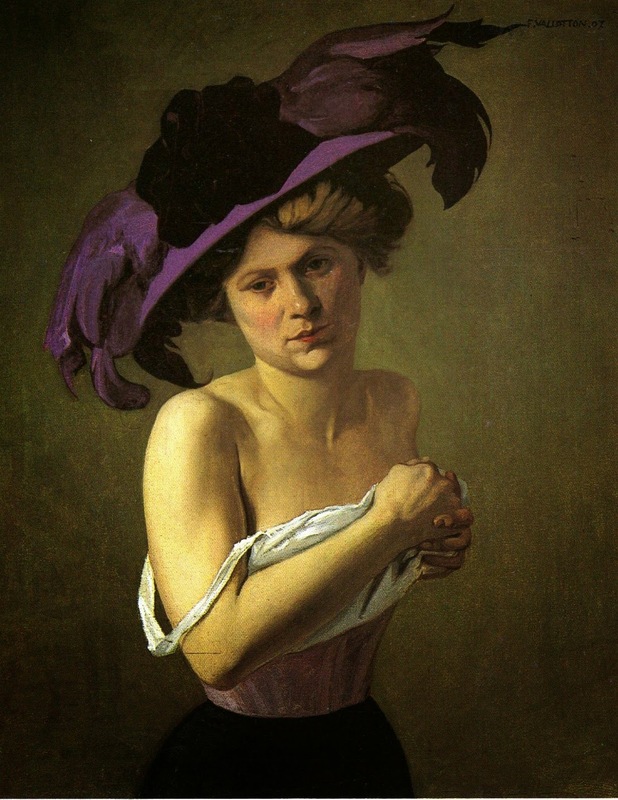 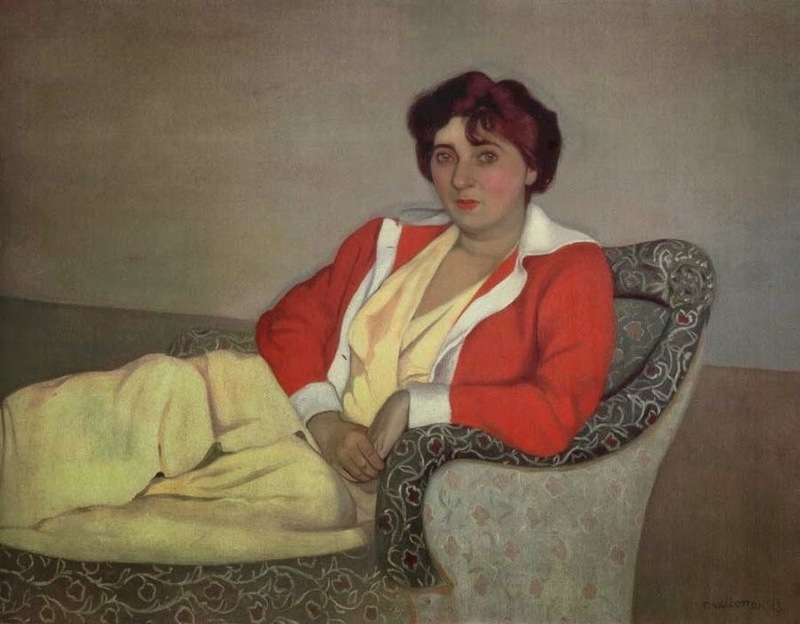 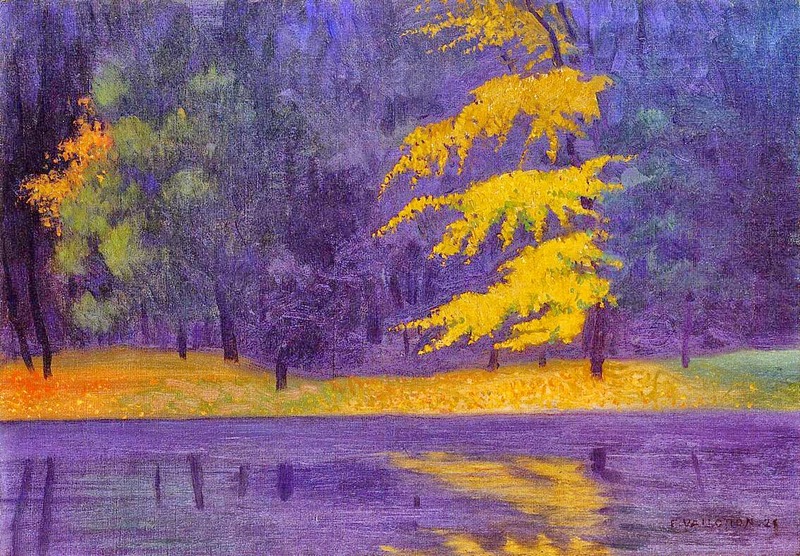 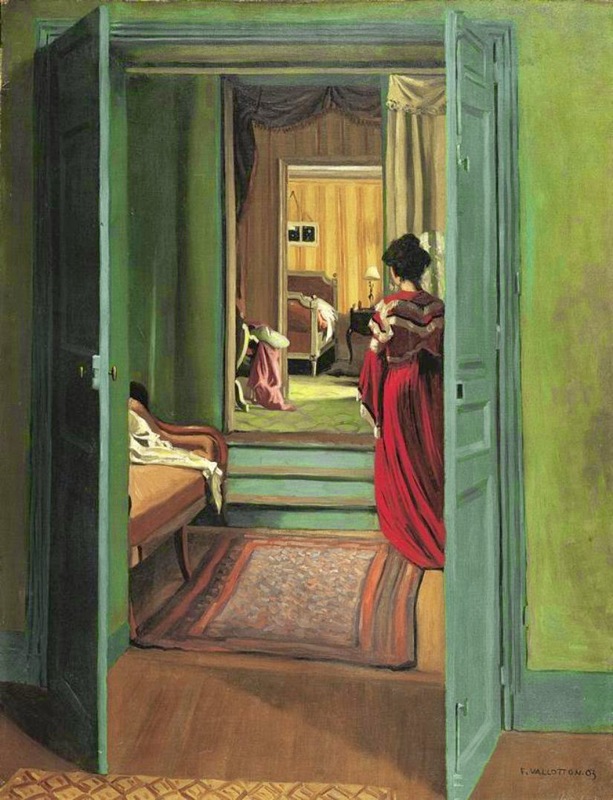 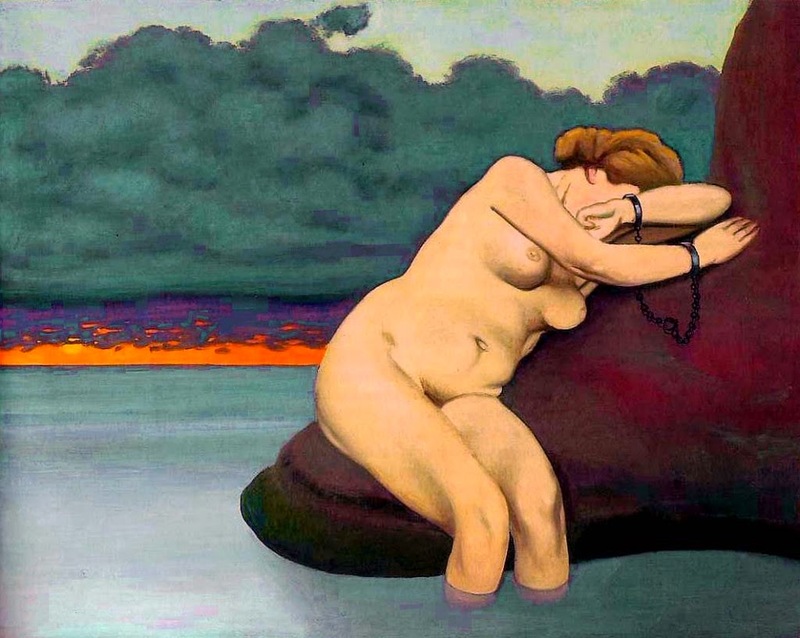 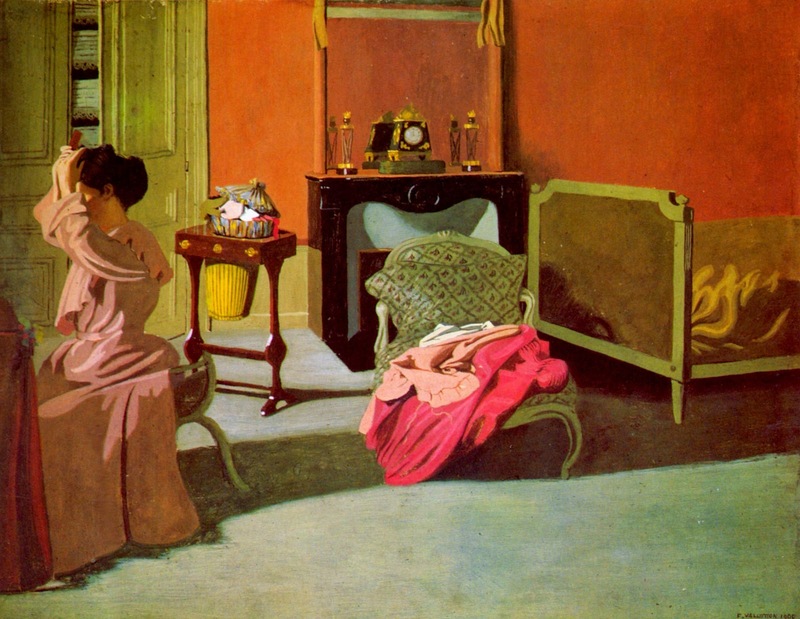 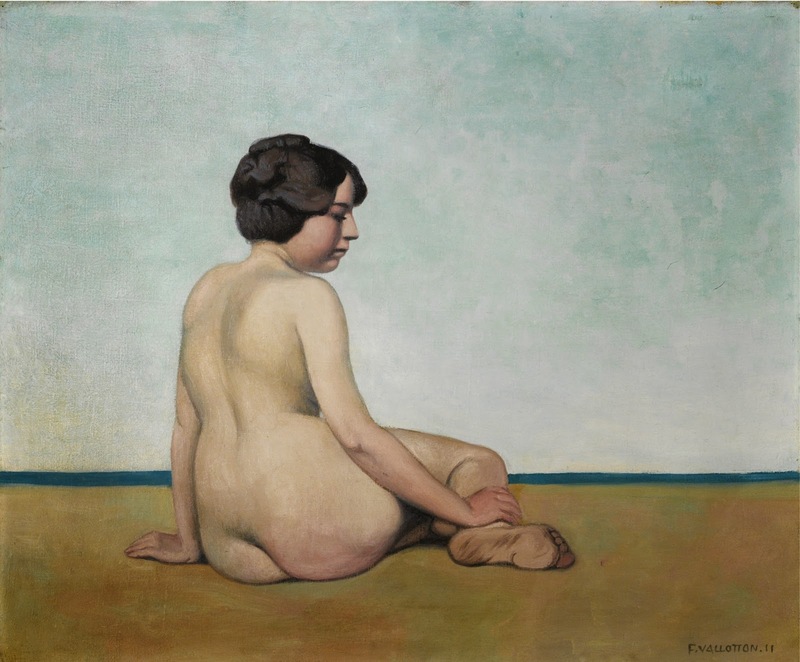 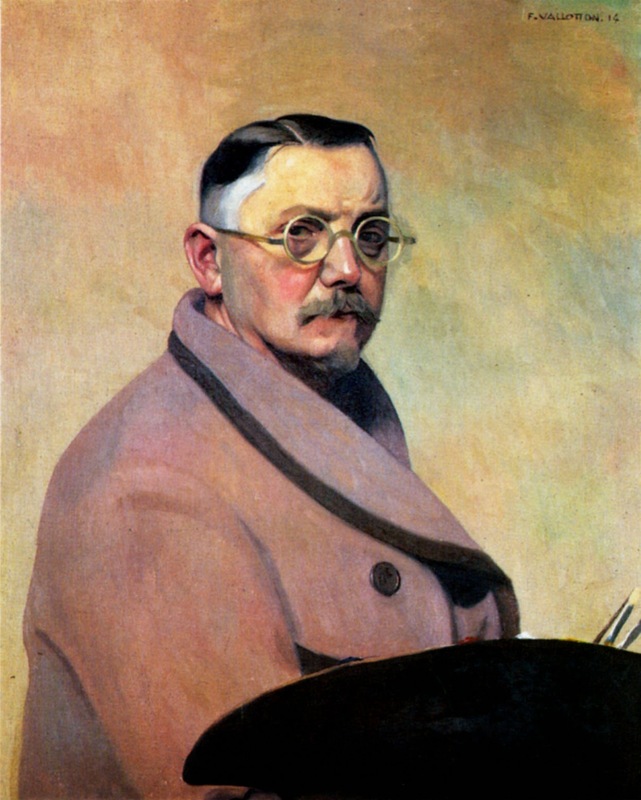 Félix Vallotton 1865-1925 was a Franco-Swiss painter of portraits, figures, interiors and landscapes, wood-engraver, lithographer, sculptor and writer. 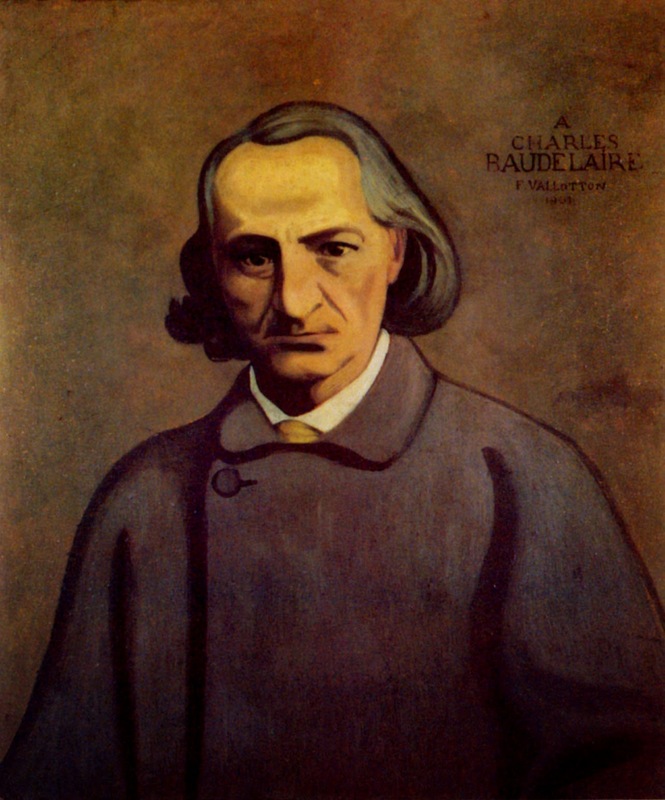 Born in Lausanne. 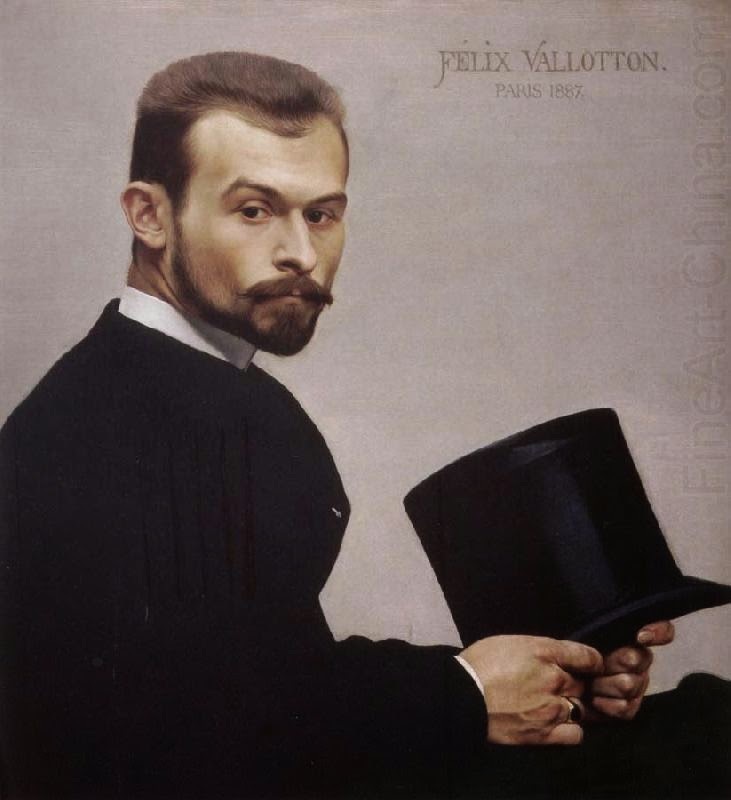 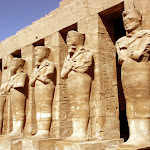 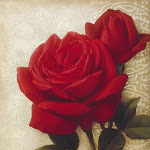 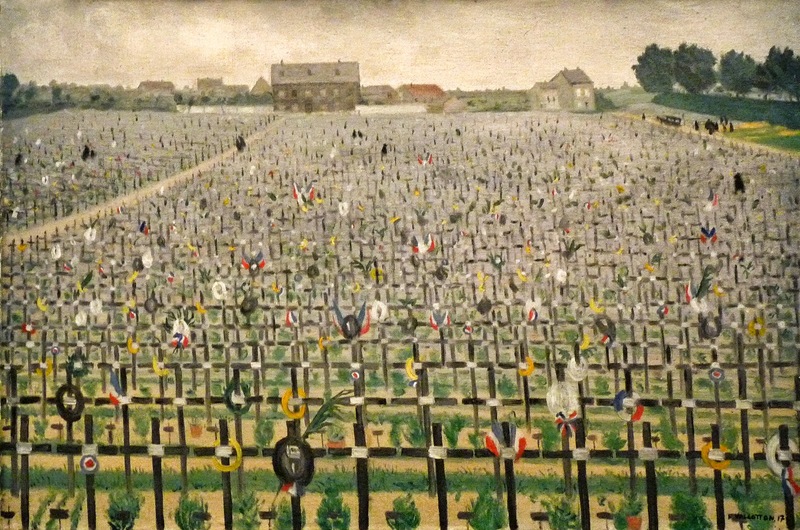 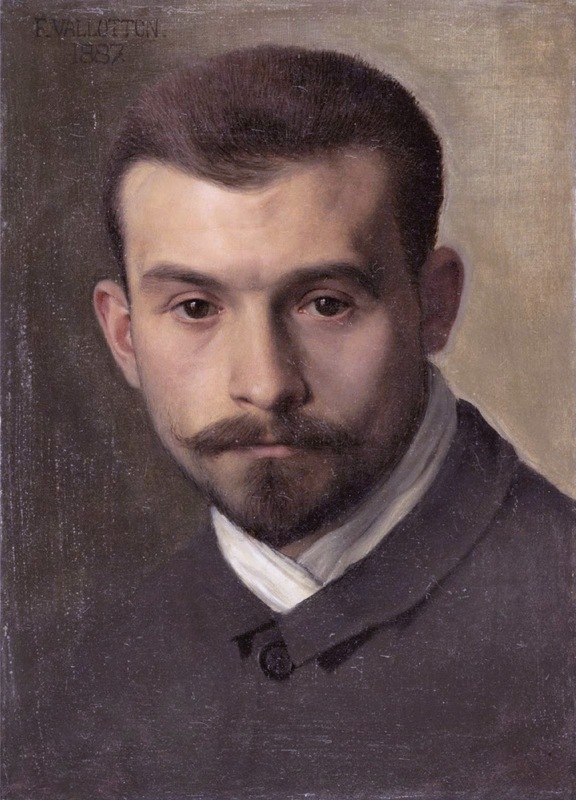 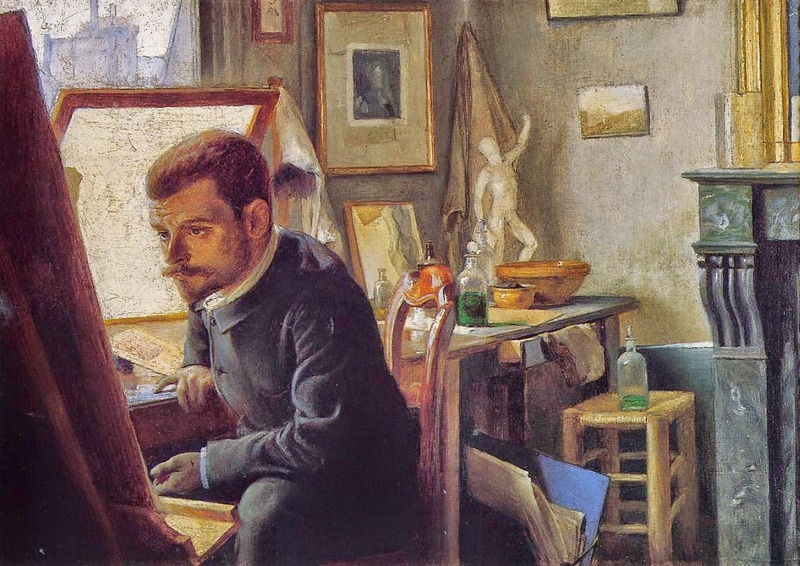 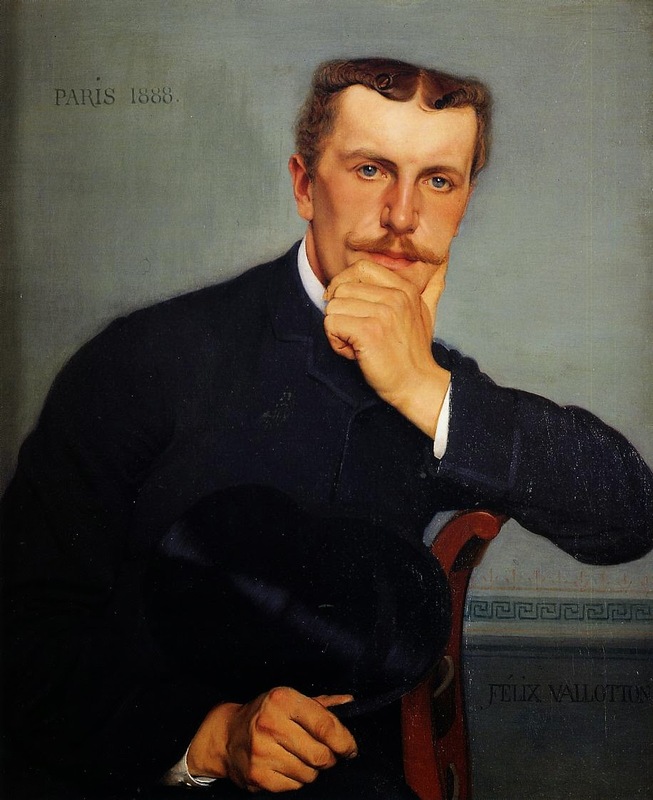 Went to Paris in 1882 and studied at the Académie Julian under J. Lefebvre. 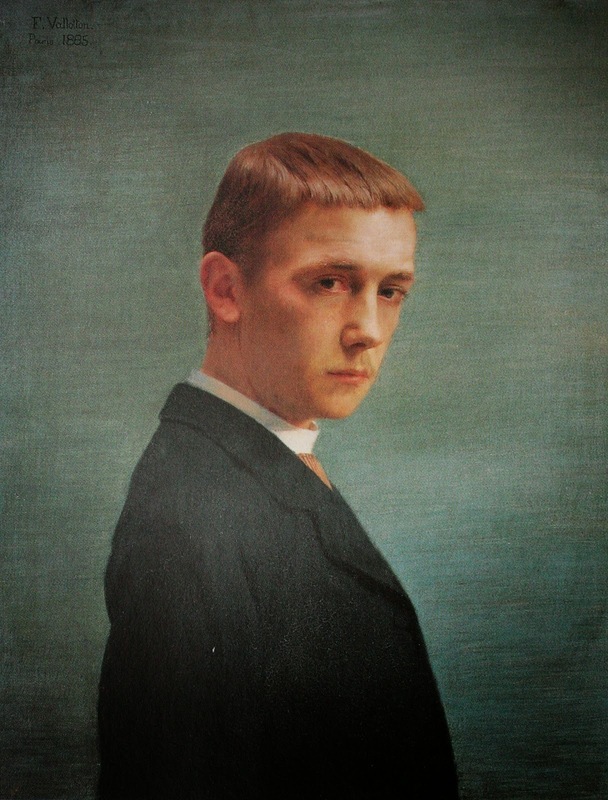 Repaired and copied Old Master paintings; admired Holbein, Poussin and Ingres. 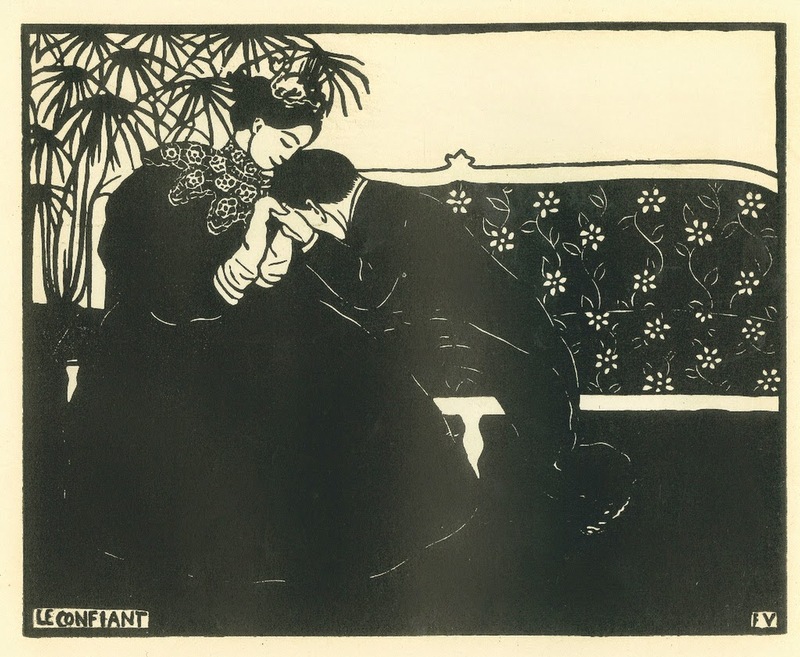 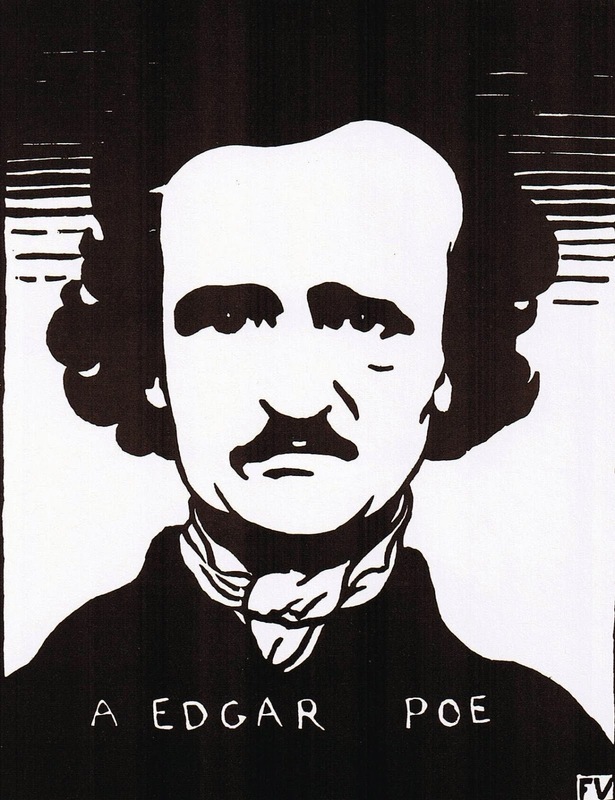 Concentrated mainly on wood-engraving 1891-7, primarily portraits and scenes from everyday life treated with sardonic humour. 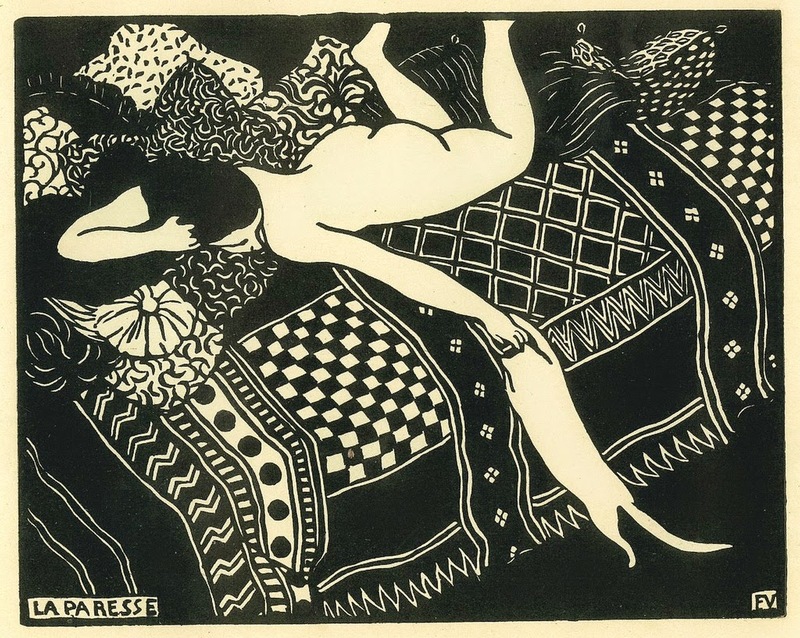 Made illustrations for the Revue Blanche, Cris de Paris, etc. 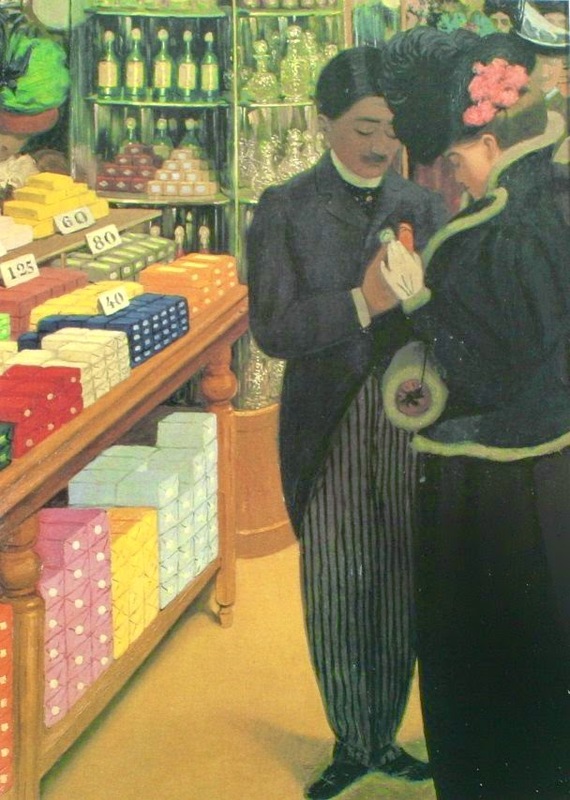 and for various books, including Jules Renard's La Maitresse 1896 and Remy de Gourmont's Le Livre des Masques 1896. 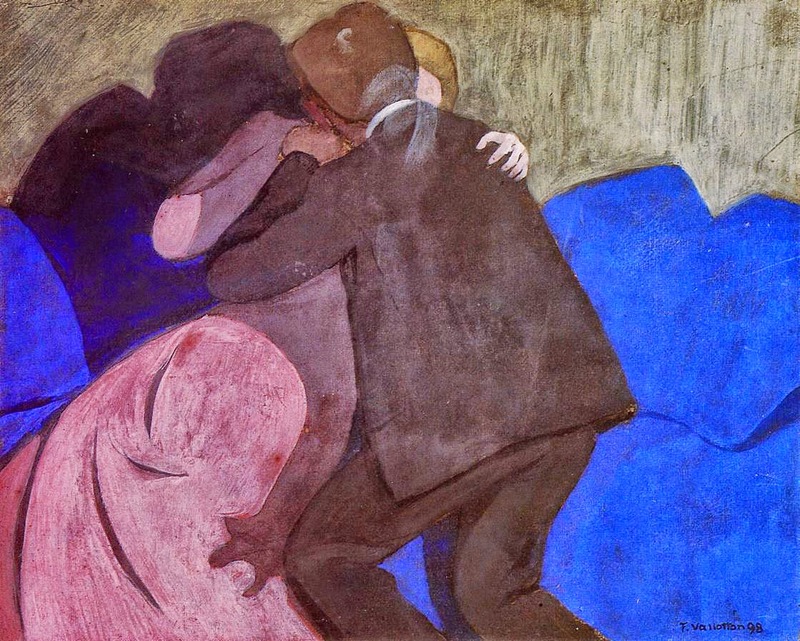 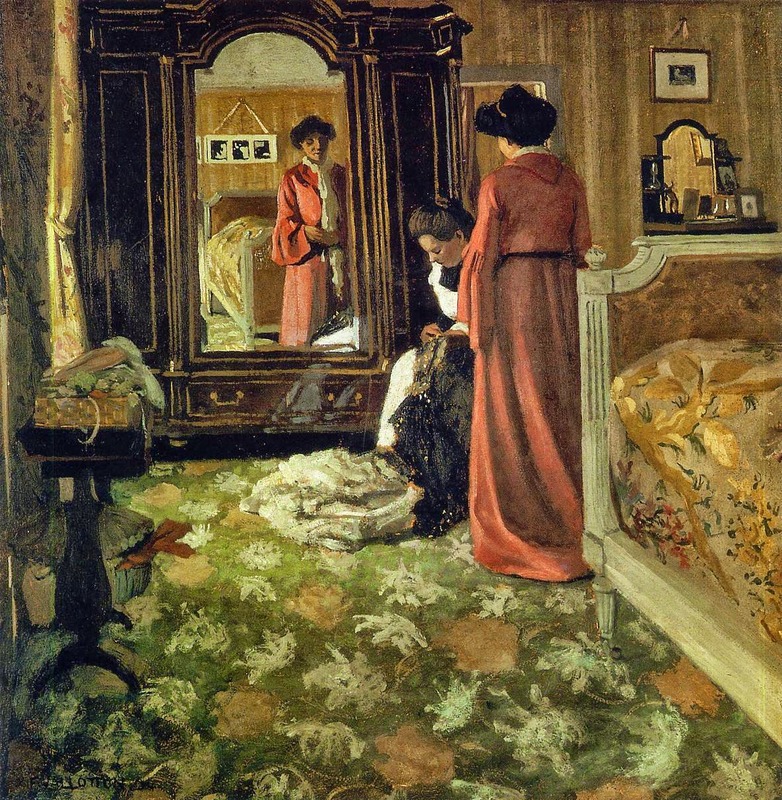 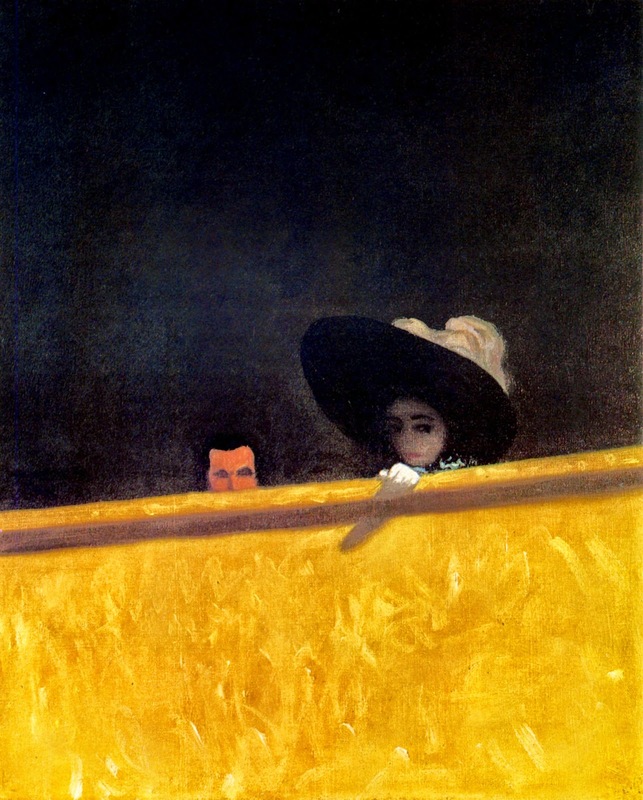 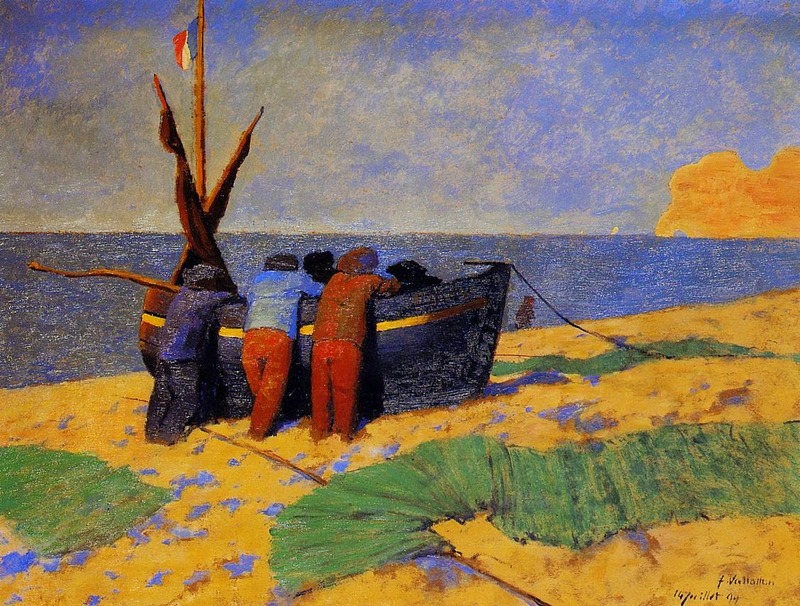 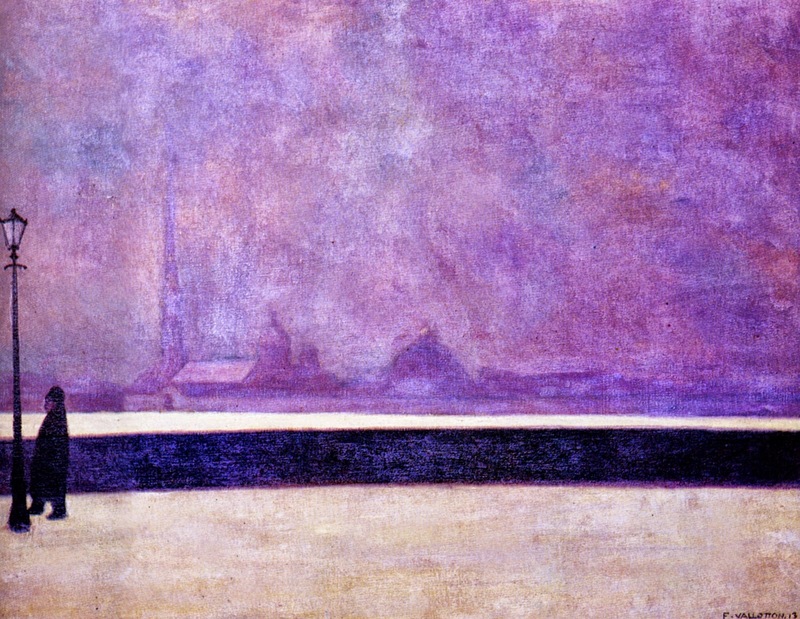 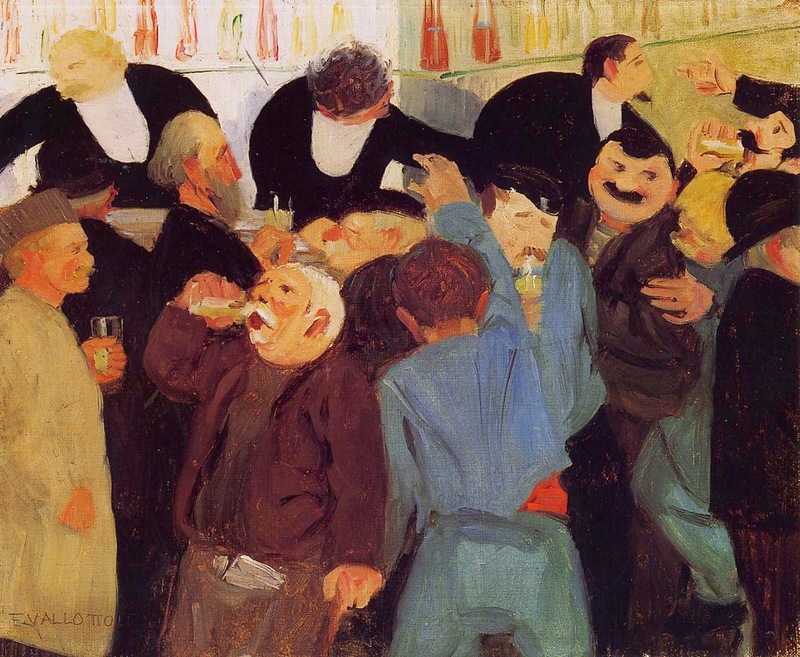 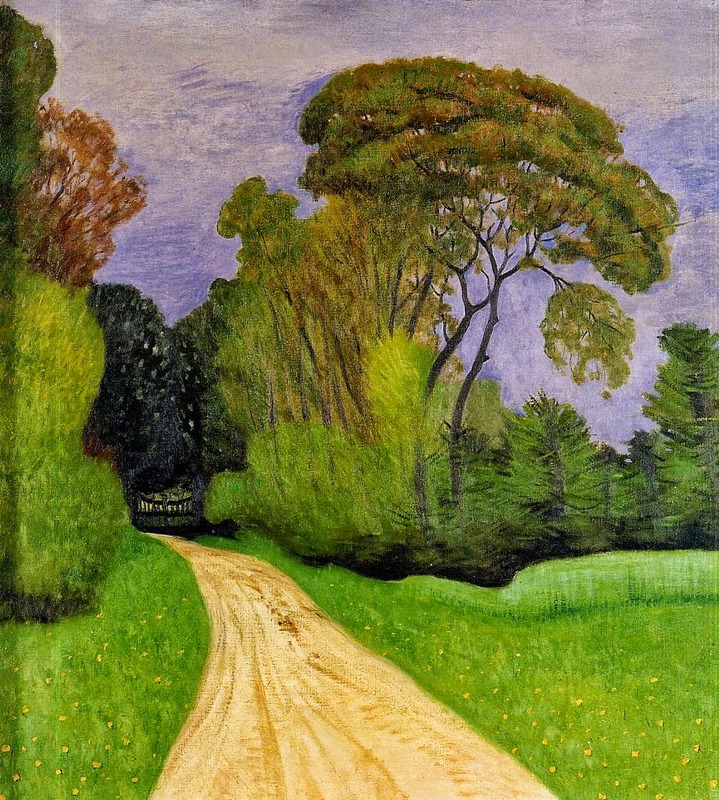 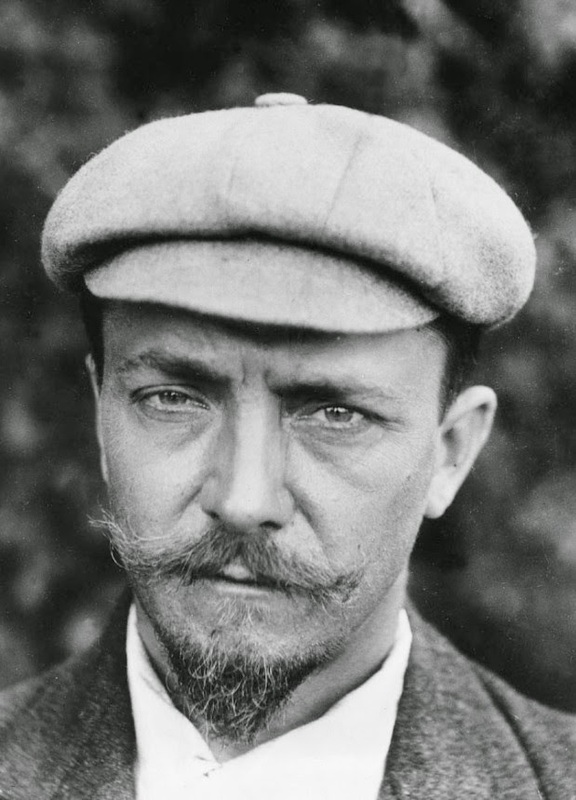 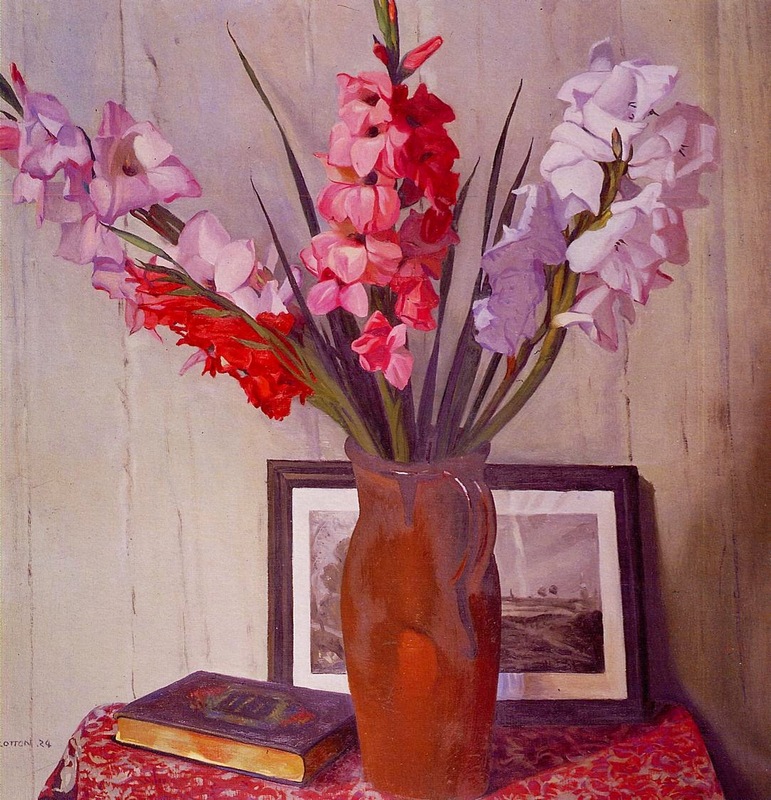 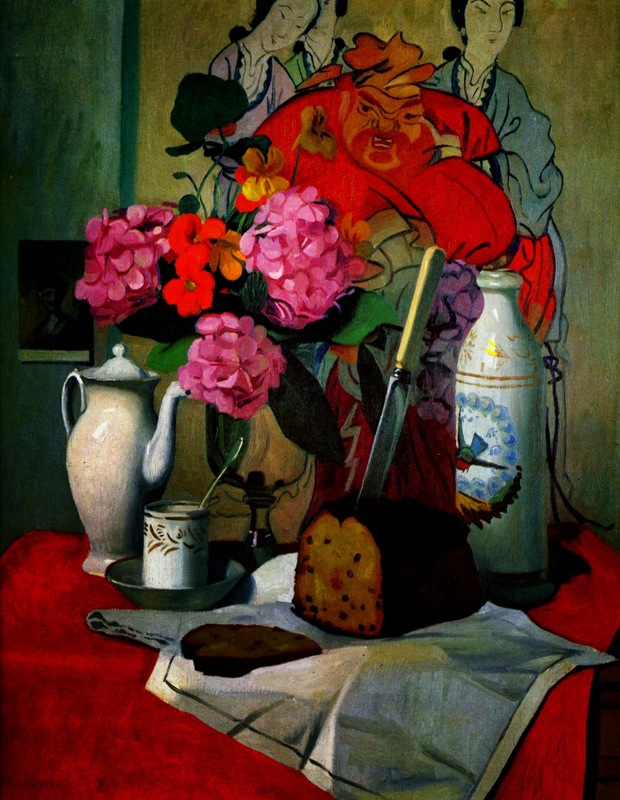 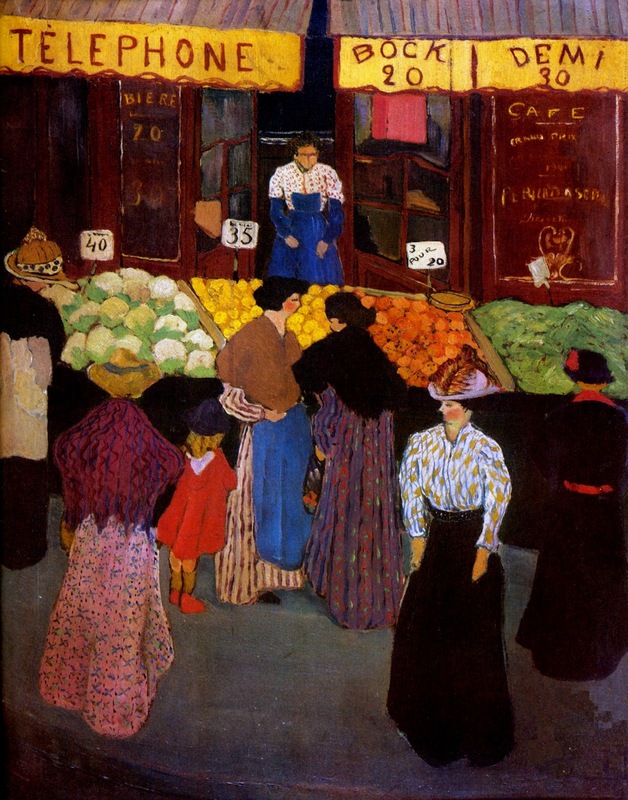 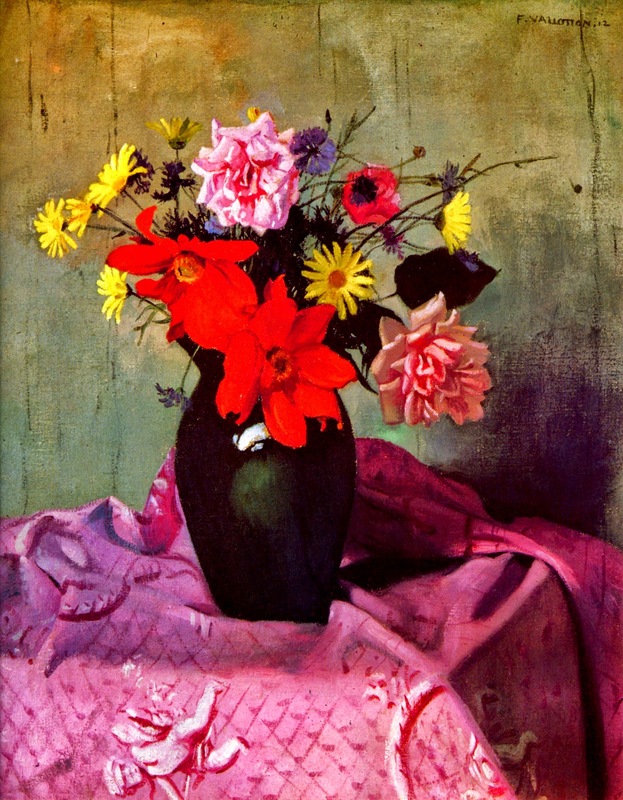 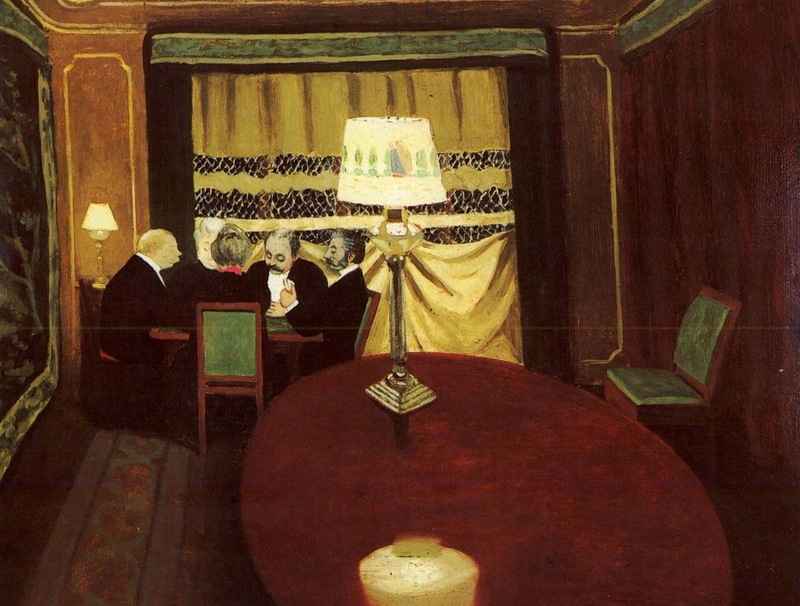 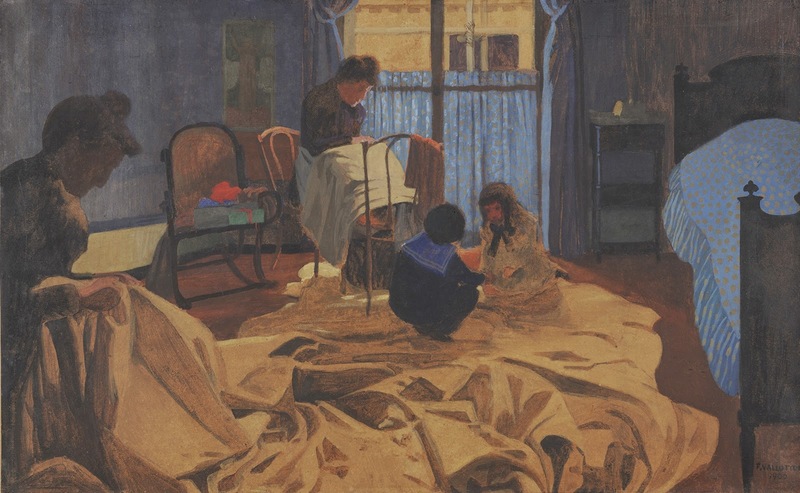 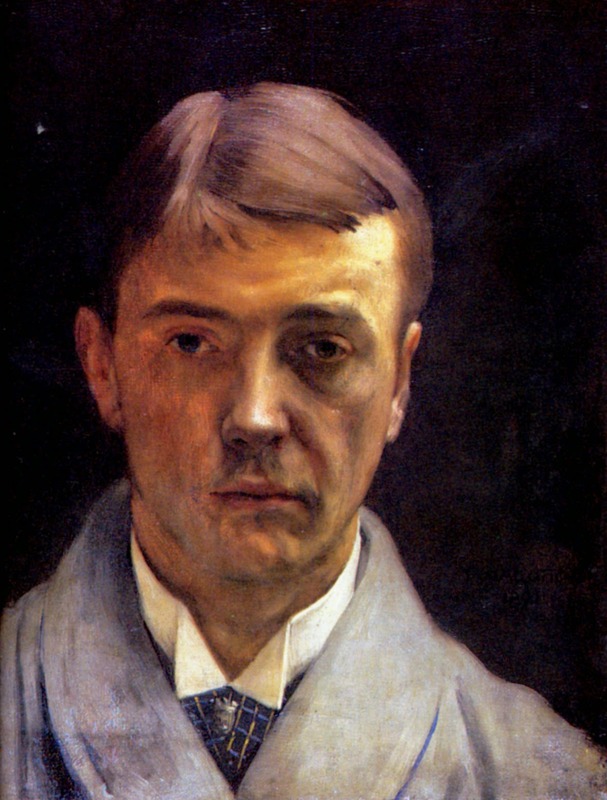 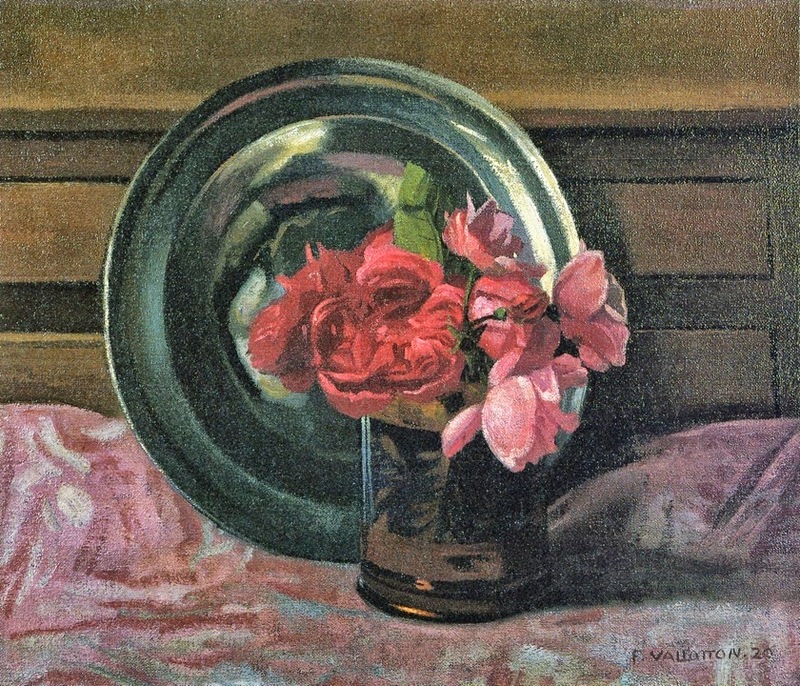 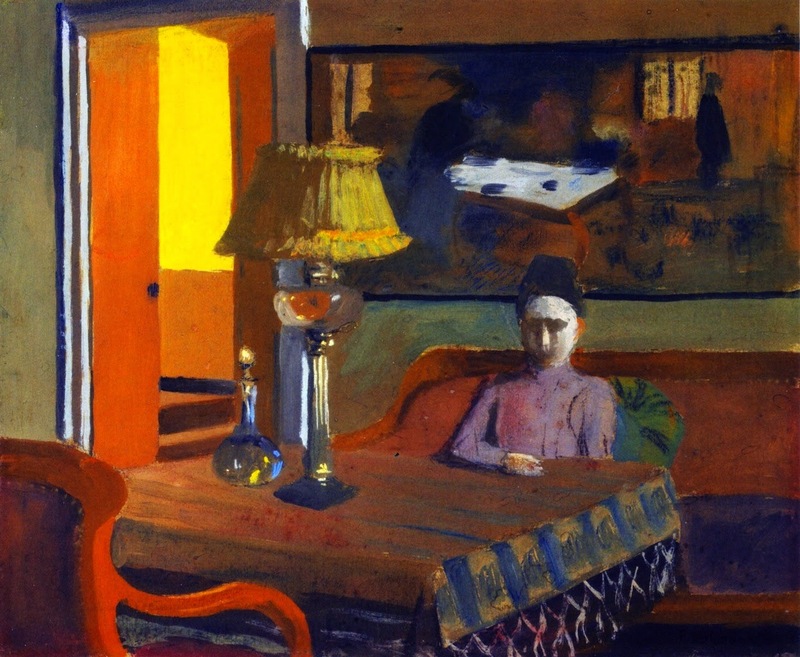 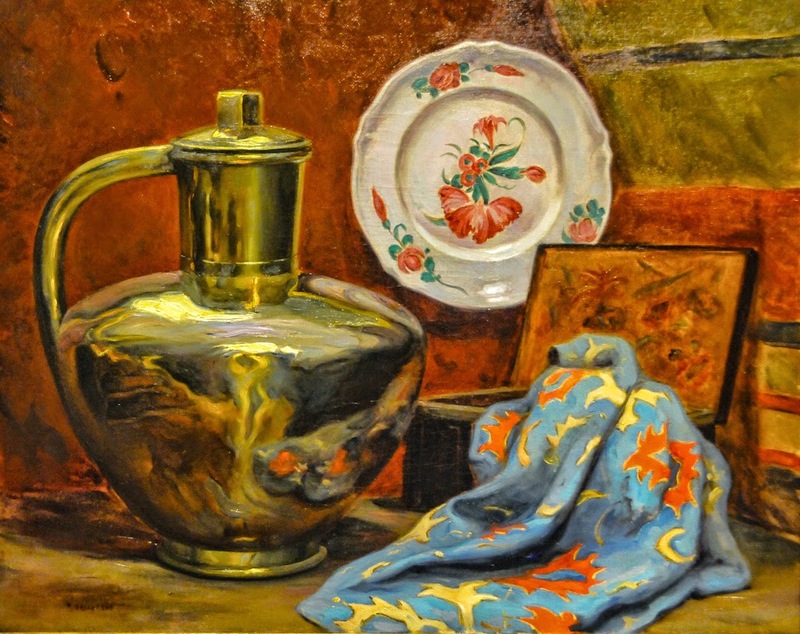 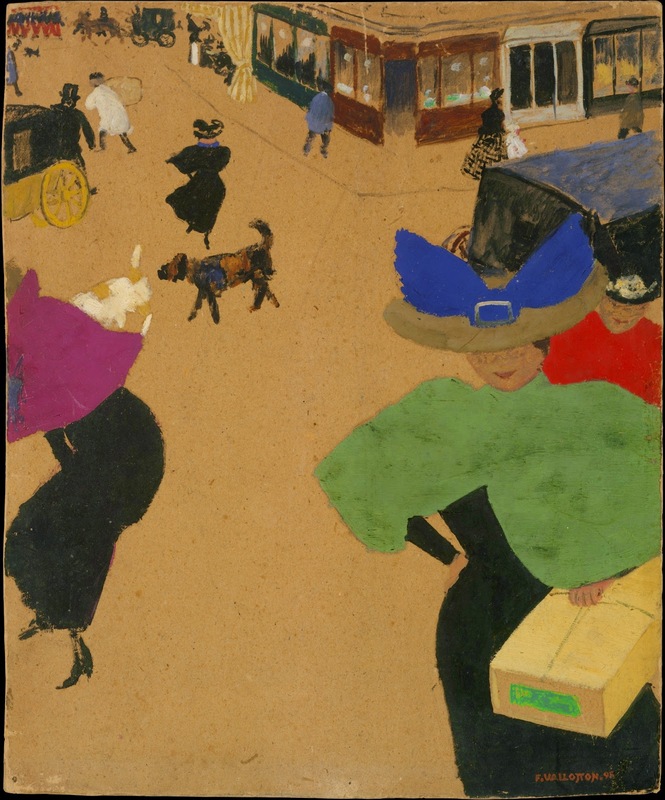 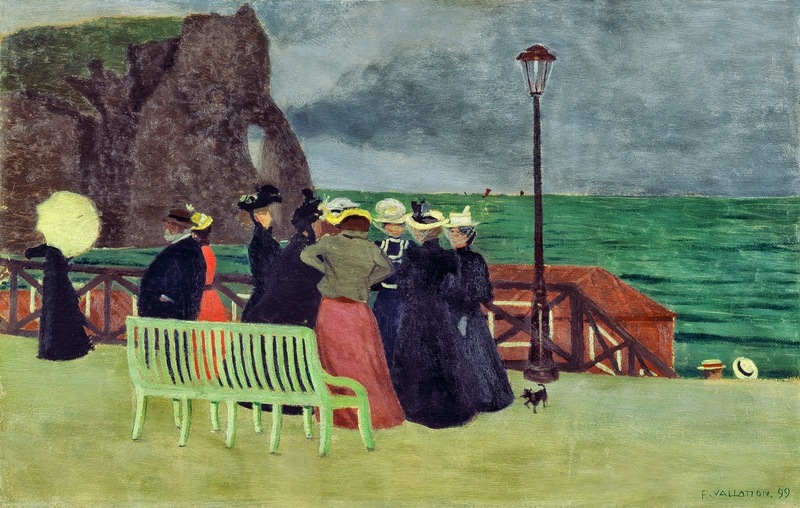 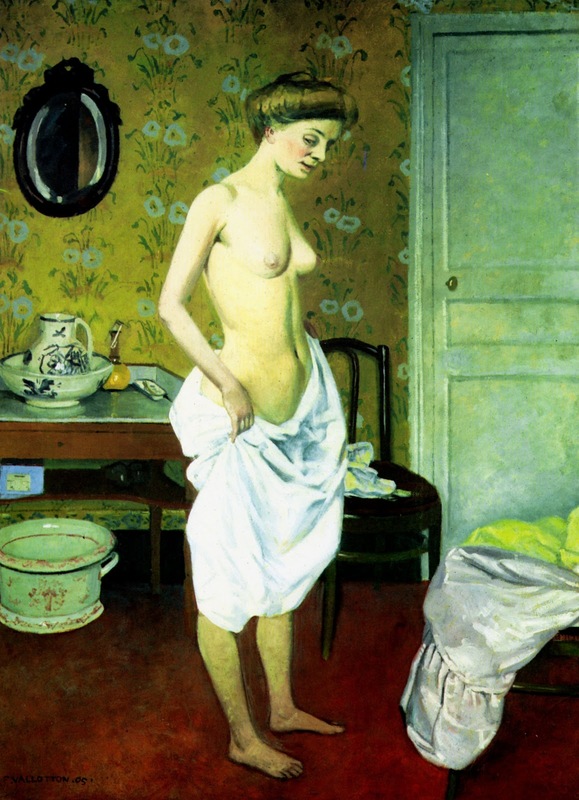 Friendship with Vuillard, Bonnard, Roussel and exhibited several times with the Nabis group. 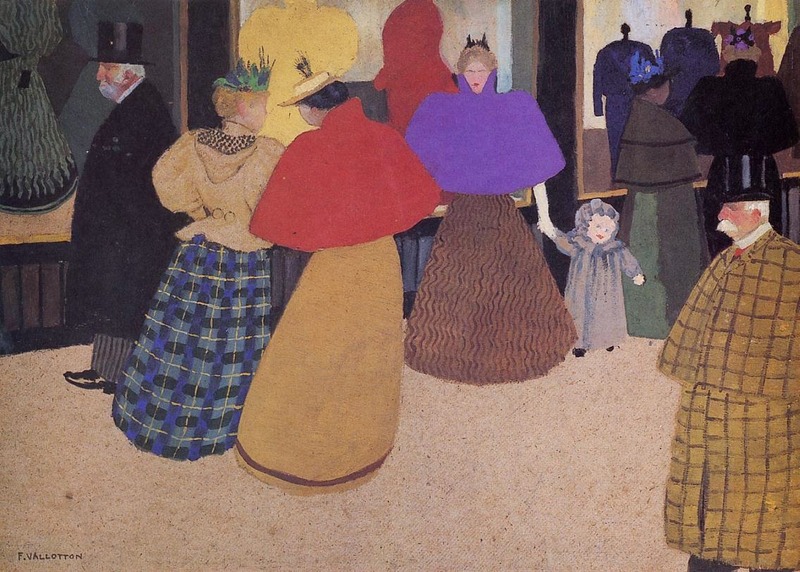 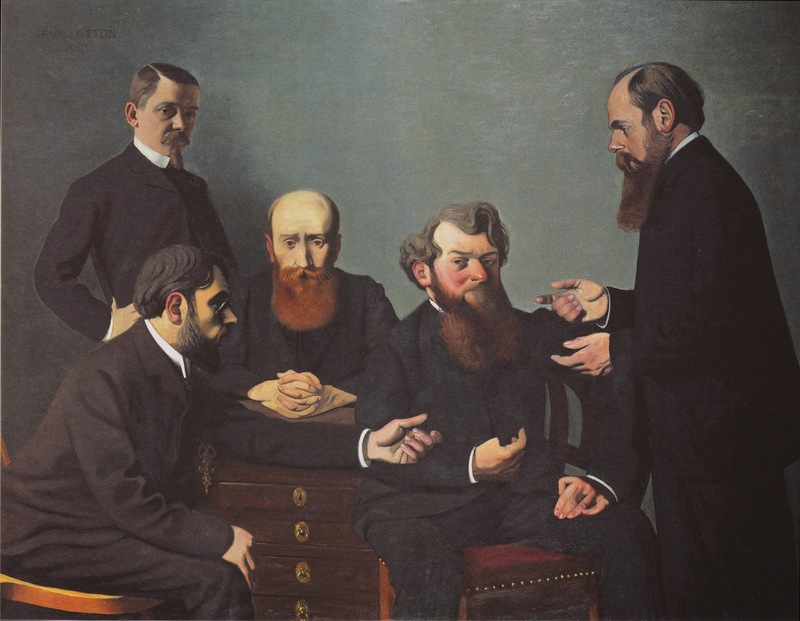 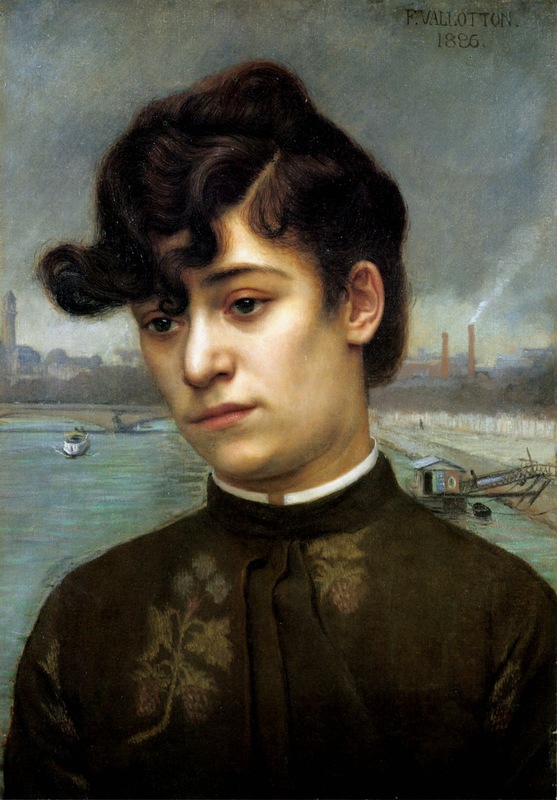 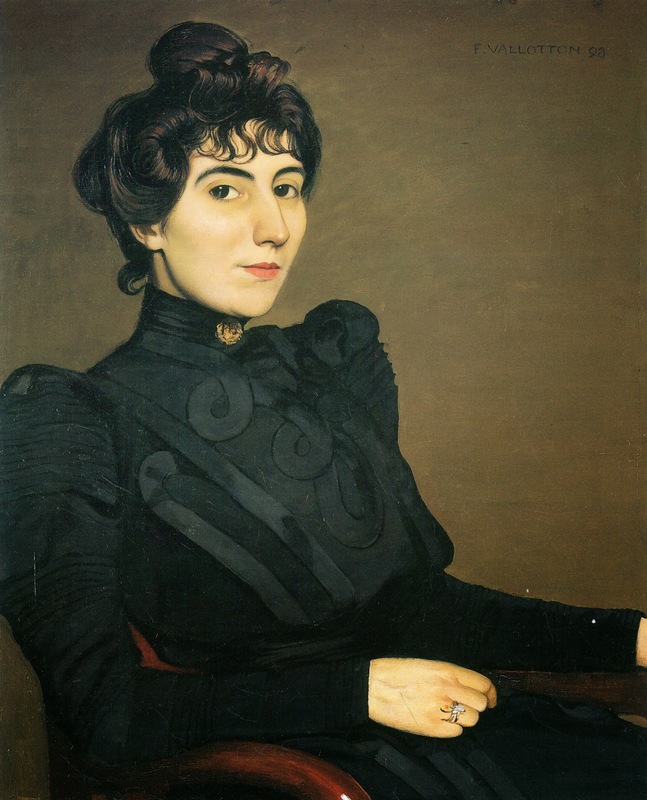 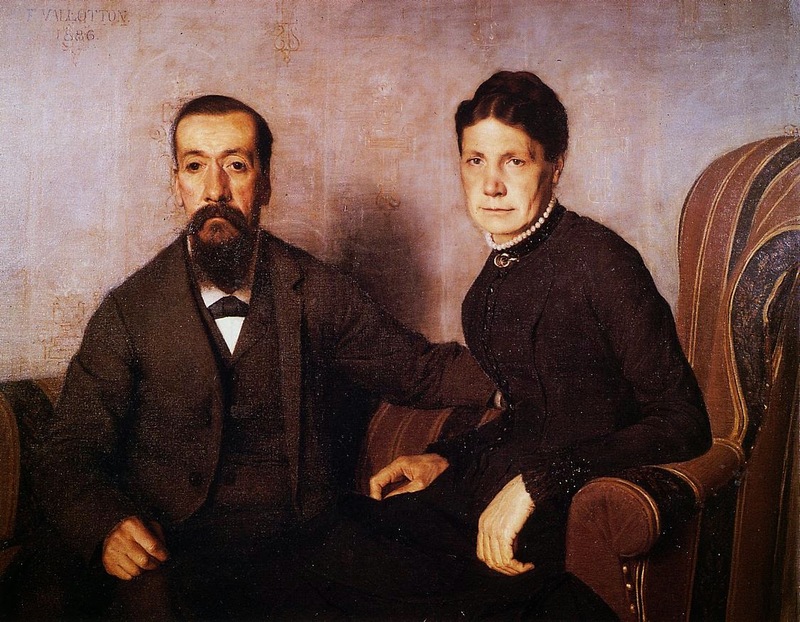 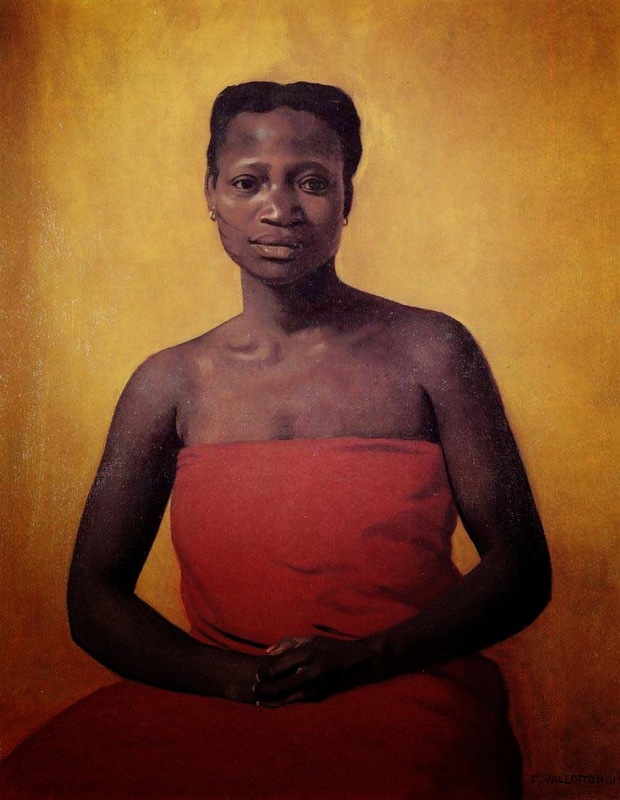 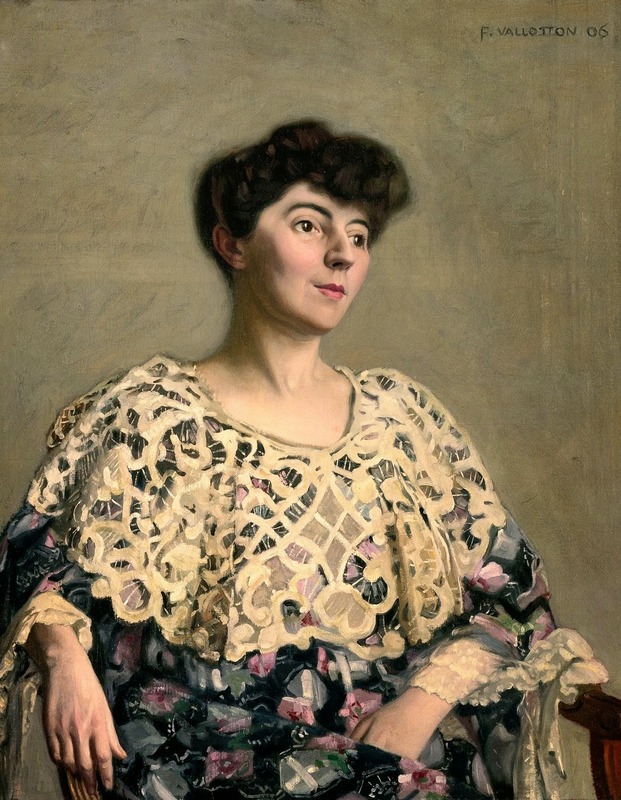 Married Gabrielle Rodrigues-Henriques of the Bernheim family of art dealers in 1899, and took French nationality in 1900. 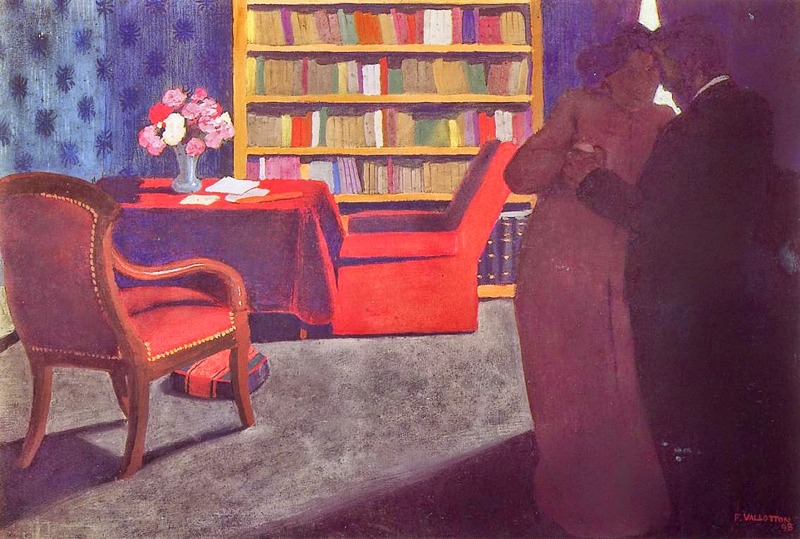 First one-man exhibition with Vuillard at the Galerie Bernheim-Jeune, Paris, 1903. 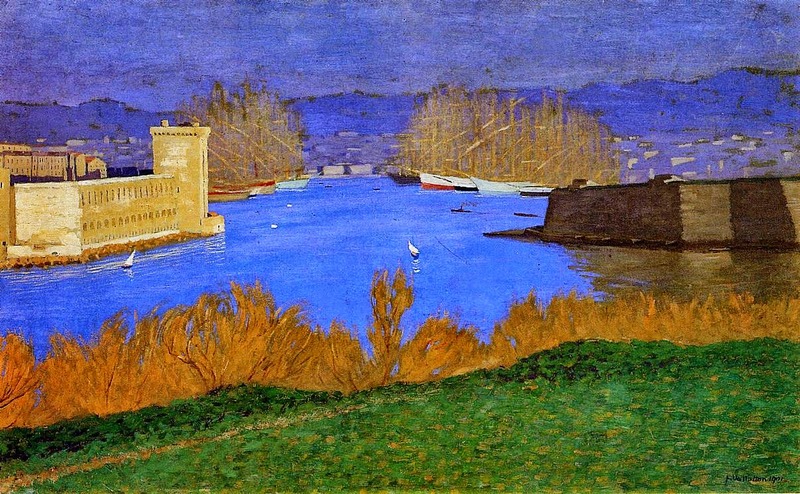 Worked much at Honfleur and from 1920 in the South of France, especially at Cagnes. 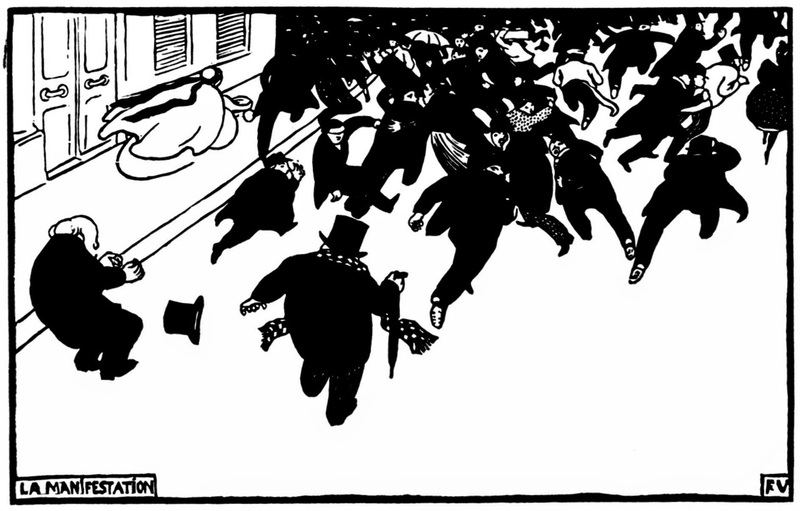 Died in Paris. 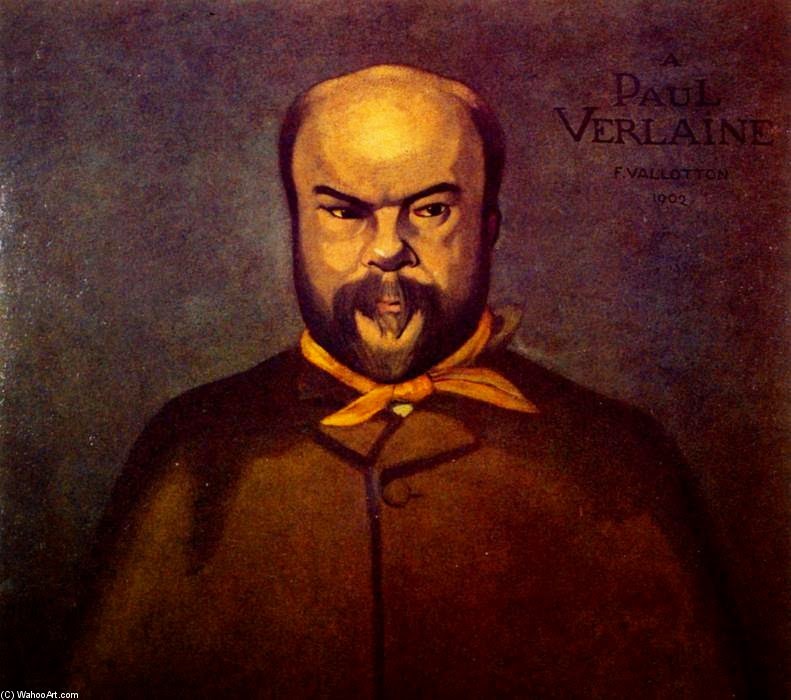 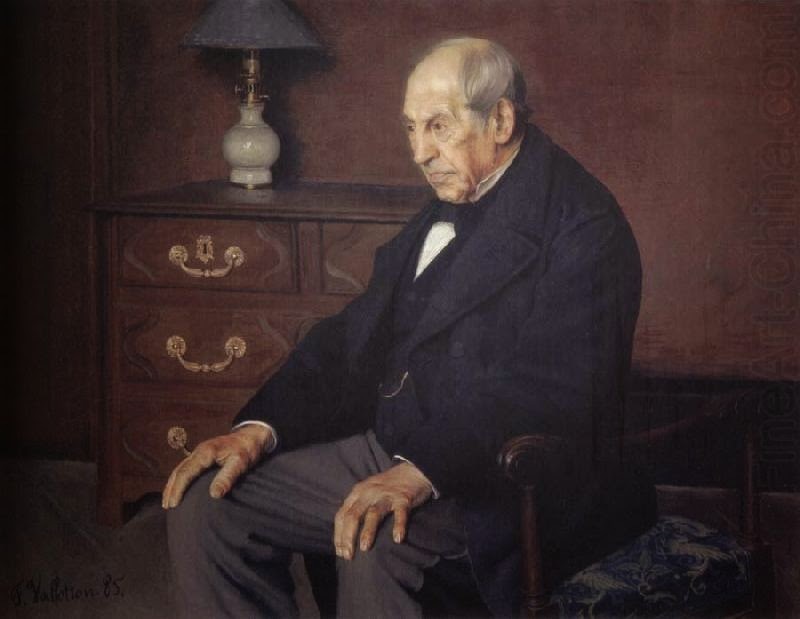 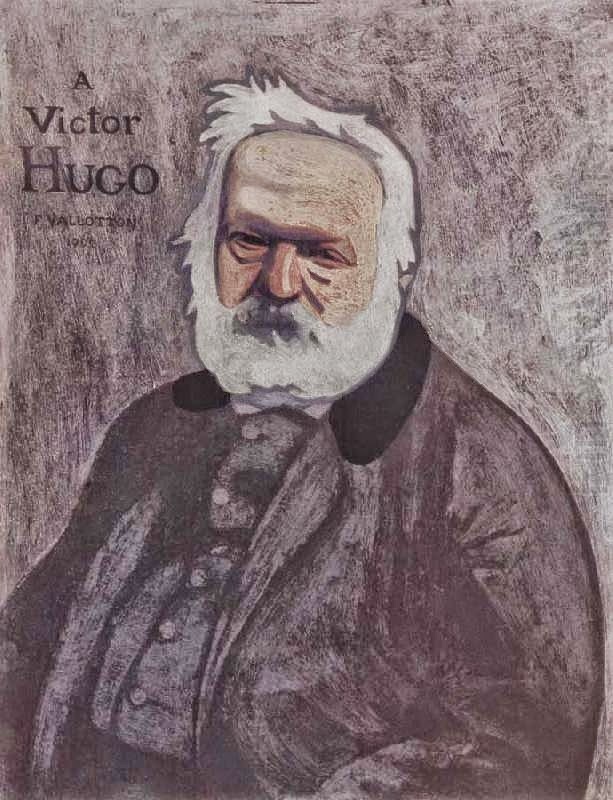 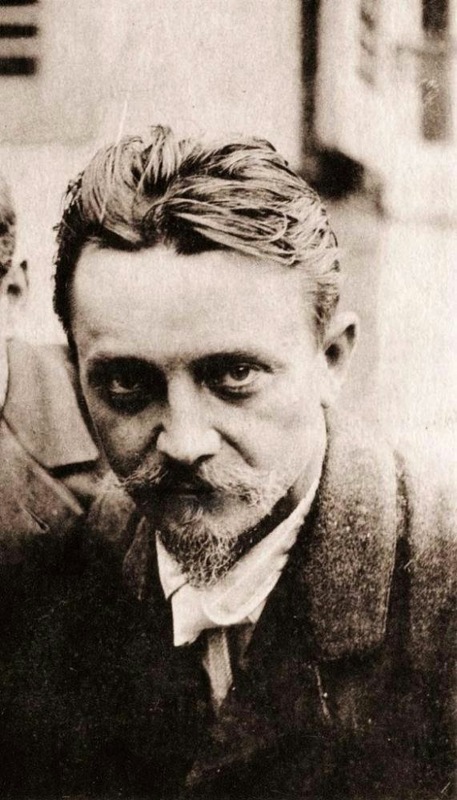 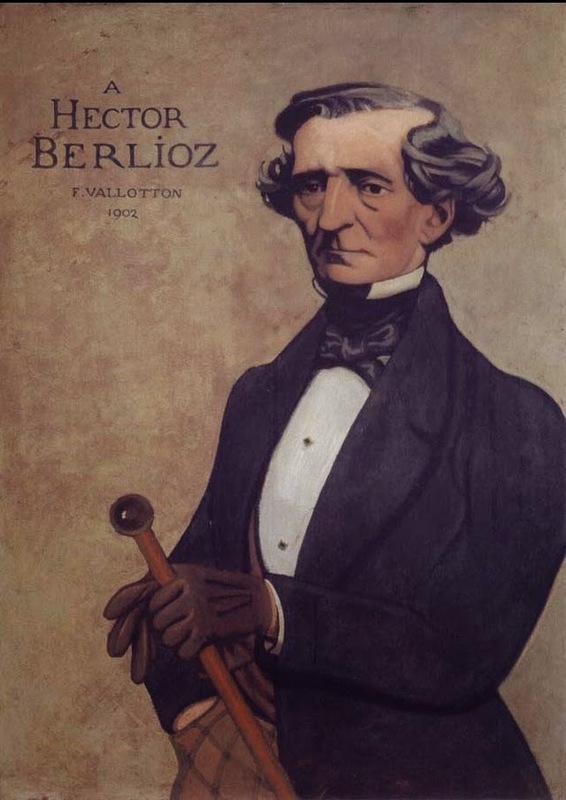 His novel La Vie meurtrière was published posthumously. 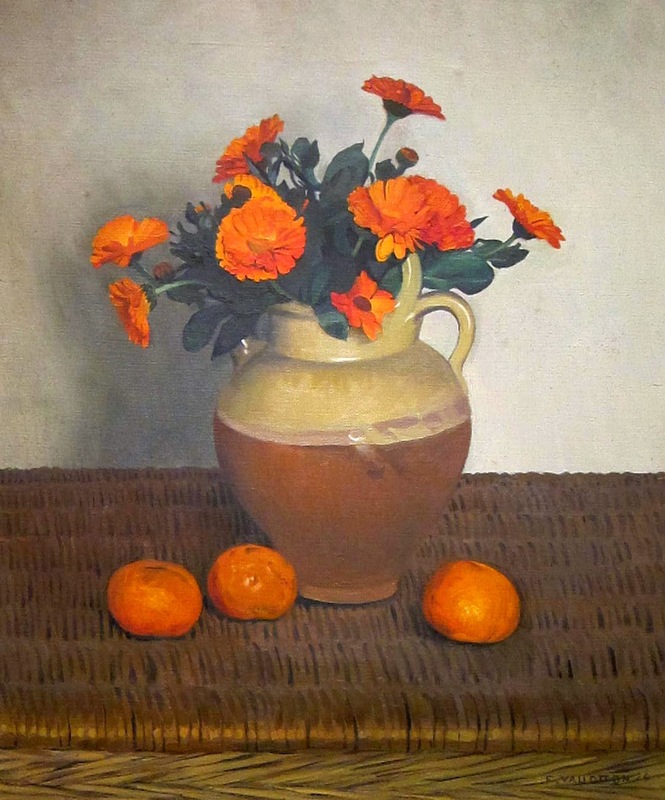 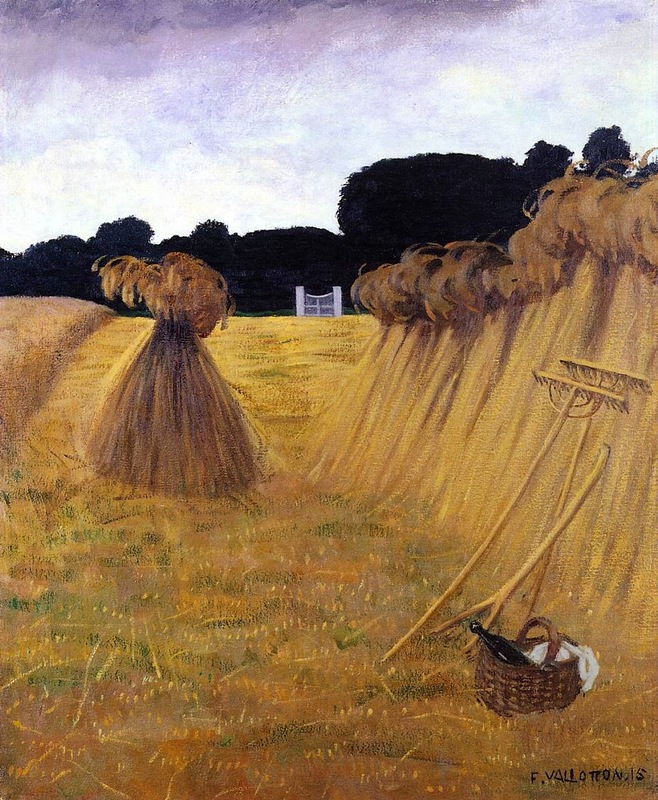 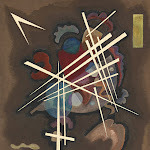 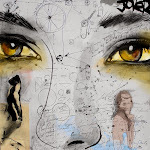 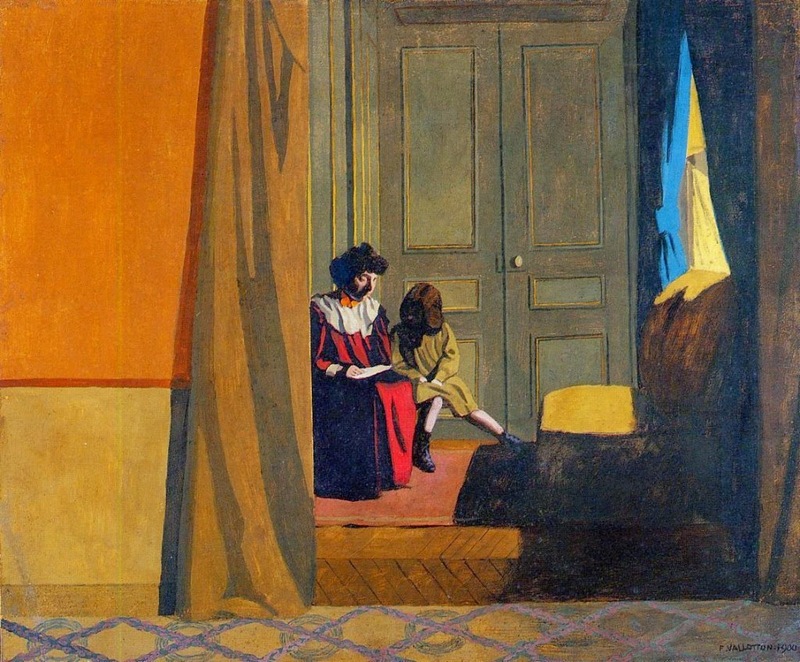 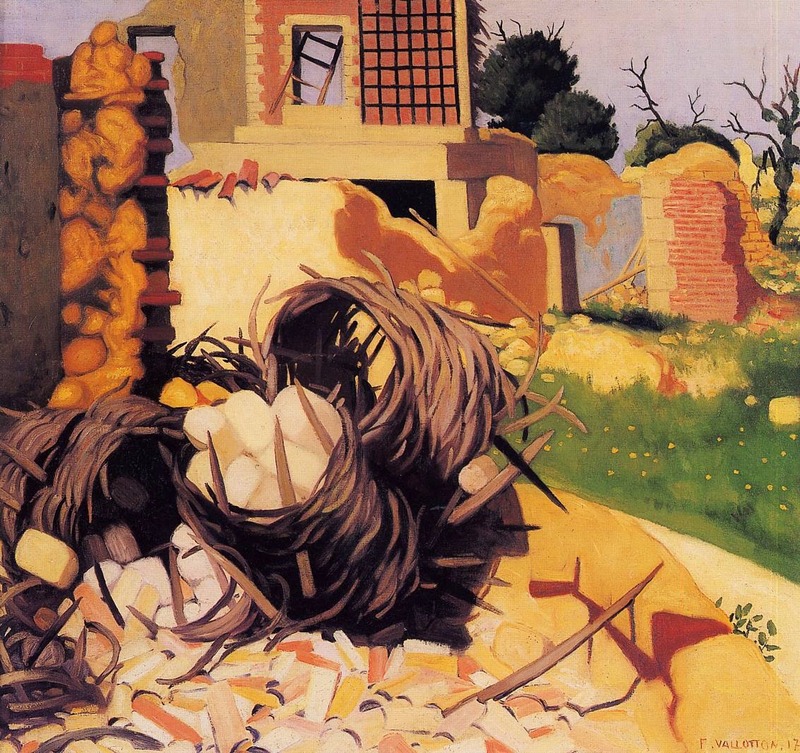 Published in: Ronald Alley, Catalogue of the Tate Gallery's Collection of Modern Art other than Works by British Artists, Tate Gallery and Sotheby Parke-Bernet, London 1981, p.741.